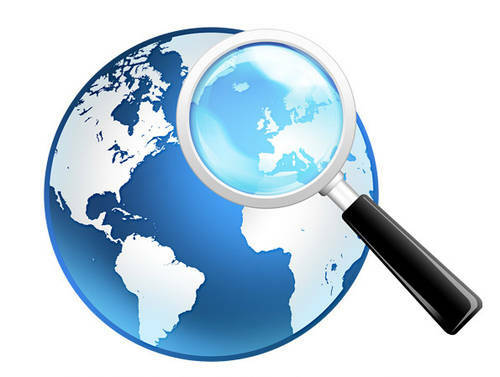 Inquiry activities' potential to engage pupils was investigated in eight partner countries (Austria, Belgium, Cyprus, Finland, Greece, Italy, the Netherlands, and Turkey) by collecting data on pupils’ interest during the implementation of an inquiry activity. 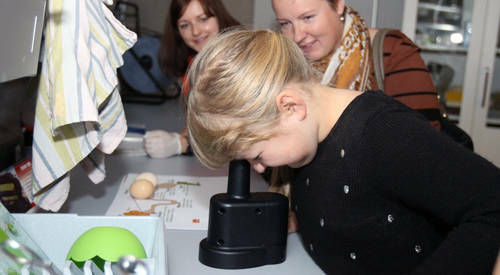 According to the results, both genders found inquiry learning and activities highly interesting already at the beginning of the activity, and the interest was even higher at the end of the activity, indicating that inquiry activities have a great potential for raising pupils’ interest towards science and learning in general, and that inquiry learning can be seen as an effective teaching method in the science classroom. Besides the above, the UTU team also investigated the incidence of 21st century skills and RRI aspects in the Ark of Inquiry inquiry activities. In the study, 40 activities (in Finnish and English) were analysed to find out how well they cover different 21st century skills, including RRI aspects. According to the encouraging results, the Ark of Inquiry activities are a useful resource and can be well adapted for the teaching of RRI aspects and 21st century skills. The study concluded that RRI aspects were covered in nearly all of the analysed activities whereas all of the analysed activities were found to cover at least some 21st century skills. Based on the results, it seems that inquiry activities that are more open-ended, rather than very structured, tend to have a greater potential for promoting 21st century skills and RRI aspects. 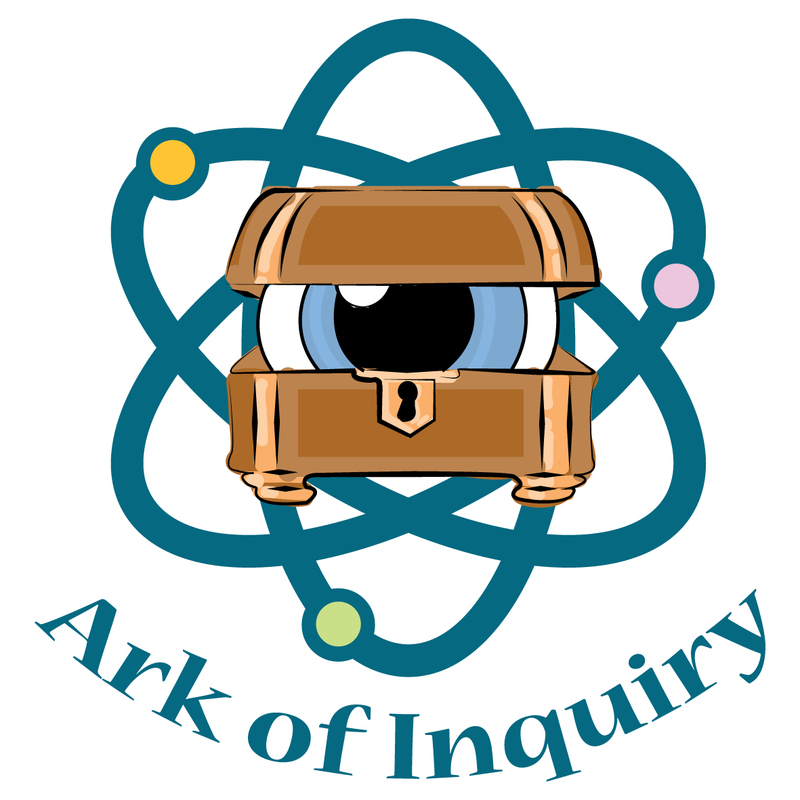 Four years have passed since the inception of the Ark of Inquiry project! What a journey it has been! The final conference was successfully held in Paris on 20 November 2017. Throughout diverse discussions and panel presentations, it presented the Inquiry-based Science Education project’s 3 main key findings. Accomplishing its goals, the Ark of Inquiry project has found that for optimal inquiry learning in the classroom, there should be a provision of the right tools, a supportive community, and the application of RRI with the focus of improving participation of both genders. The final conference gave a first-hand understanding on how inquiry learning, RRI and empowering girls in science directly ignite the passion of learning in the next generation of global citizens and how UNESCO is striving to stoke the fire for generations to come. Get acquainted with the 3 main key findings of the Ark of Inquiry project and read the full article at UNESCO website. A Scientix webinar was held to introduce the Recommendations for Teachers from the Ark of Inquiry project. Teachers from all over Europe gathered to participate in the Scientix webinar titled "Recommendations for Teachers from the Ark of Inquiry project". In the webinar, Lauren Bohatka from UNESCO and Meelis Brikker from University of Tartu introduced the project, the inquiry model it's built around and discussed some of the key messages from the project's Guidelines and Recommendations document. You can watch the full webinar here or at the YouTube channel of European Schoolnet. Τhe Ark of Inquiry training period is over. During the last 20 months, our 13 partners have been working hard to train 1152 teachers from the 12 European countries participating in the AoI consortium. The project consortium has finished analysing the quantitative and qualitative data from trainings and submitted the relevant project deliverable. The overall results derived from all training sessions concerning each phase of the training cycle (e.g., Phase A: Teachers as learners, Phase B: Teachers as thinkers and Phase C: Teachers as reflective practitioners) are presented briefly below. At the end of Phase A of the training cycle most of the teachers who participated had acquired an overall positive experience with the inquiry learning. In addition, the RRI concept had successfully been introduced during Phase A of the Ark of Inquiry training cycle. Also, at the end of Phase B, most of the teachers expressed their satisfaction with the collection of the inquiry activities. This collection of activities seems to meet the needs (different domains, duration, languages, proficiency level, age group etc.) of many teachers across Europe in a successful and meaningful way. Also, most of the teachers had a positive experience with the toolbox and its content (i.e. evaluation and award instruments). Furthermore, at the end of the last phase of the training, trainees indicated that they felt more confident to adapt and implement inquiry activities. This can be explained by the fact that the role of practitioners that teachers were assigned to during the training program, helped them to increase their confidence when dealing with inquiry learning in classroom. In general, it can be concluded that the majority of them clearly enjoyed and benefited from the training, they had been provided with essential knowledge and skills to promote inquiry learning in their classroom and therefore to help their pupils to acquire meaningful experiences and knowledge during inquiry enactment at school. These positive findings can be attributed to the three distinct participatory roles that teachers were assigned to during their engagement in the three consecutive phases of the training. You can familiarize yourself with our project deliverable here. “An Inclusive Science Classroom: the Gender Issue” was the subject of the Ark of Inquiry Training for Science Teachers that took place on 9-10 November 2017 in Tirana, Albania. Organized by the UNESCO Regional Bureau for Science and Culture in Europe and Ellinogermaniki Agogi, in close cooperation with the Albanian Ministry of Education, Sports and Youth, the event seeked to expand the project to countries of South-East Europe that were not initially involved in the project. 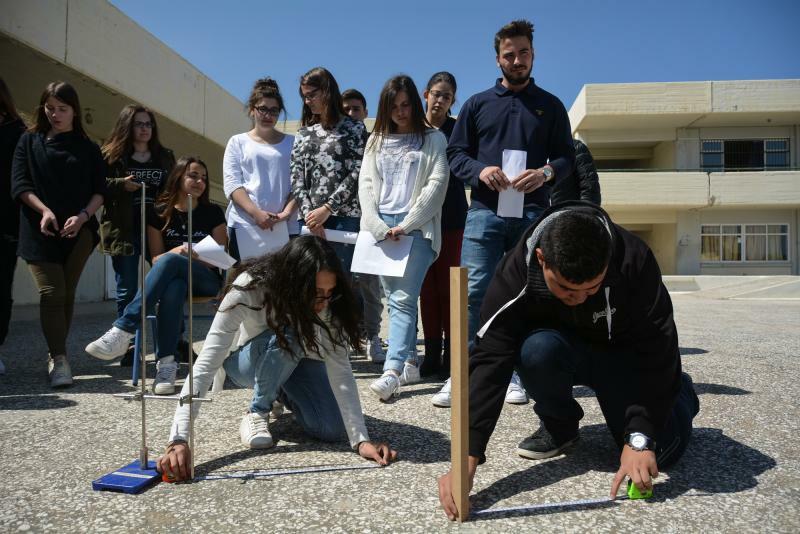 The goal of the event was to increase teachers’ understanding and appreciation of the scientific method and to prepare them to actively participate in and contribute to the European research and innovation process and society at-large. Inquiry activities in science can play a role in engaging girls and boosting their interest. Read the full article at UNESCO website. Please note that the Final Conference is upon invitation only. If you would like to receive an invitation, please contact Margus Pedaste (margus.pedaste@ut.ee) or Lauren Bohatka (l.bohatka@unesco.org). On 6 and 21 September 2017, a webinar was organised by the UNESCO Regional Bureau for Science and Culture in Europe and the University of Tartu on Inquiry Based Science Education and Responsible Research and Innovation. The webinar, as part of the Ark of Inquiry project activities, targeted primary and secondary school teachers and other professionals in the field of science education from South-East Europe. While topics involving the project’s inquiry model and its application in science classrooms were discussed, there were many lessons learnt for the project team as well. Read the full article at the UNESCO website. For more than thirty years, the training of teachers, which is a major challenge for Europe, has been the subject of deep reforms, reforms or revisions in all countries. In many countries, training does not consist simply in knowledge of the subject to be taught, pedagogy related to this subject, and courses in general pedagogy. It also seeks to develop the capacities of reflective practices and research on different topics. However, are the new generations of teachers better prepared than the previous generations to face classes, and the new concept of teaching? In fact, if the candidate follows a linear path, that of the Master's Degree in Education, Training and Education, he also does internships from the first year of his program, be confronted with academic pursuits. For this reason it is essential to make them aware of concepts based on research. Many teaching students have not mastered research and do not know the concepts of these disciplines. Even if they are trained by research like Marc, a new biology associate, they sometimes have difficulty managing their teachings. The young man of 25 years greatly appreciated this accompaniment RRI while he gave his first courses. "My trainer gave me immediate feedback, he explains. One day, he told me that my pupils had to work as much as I did in class, otherwise I would run out. It sounds simple, but it was these concrete tips that really helped me. " Substantial revisions of the actual content of initial training in terms of skills to be reached by teachers are under way in Europe. Indeed, the greatest disparities between countries and within the same country were still observed recently, with a large degree of autonomy still left to curriculum training institutions. In most European countries, initial teacher education (lower secondary) remains highly specialized in one or two subjects. More generally, teachers remain specialists in disciplinary matters. This disciplinary training, if it leads to difficulties in the management of personnel in the event of a decrease or increase in needs, allows most often the exercise of the function at different levels of education. It was also noted that within the framework of a highly specialized training (France), interdisciplinary work is limited. It is important that this training is accompanied by a strong awareness of teamwork and, consequently, the development of new transdisciplinary teaching approaches, notably through research. These training courses allow teachers to discover patterns and models of teaching across frontiers. 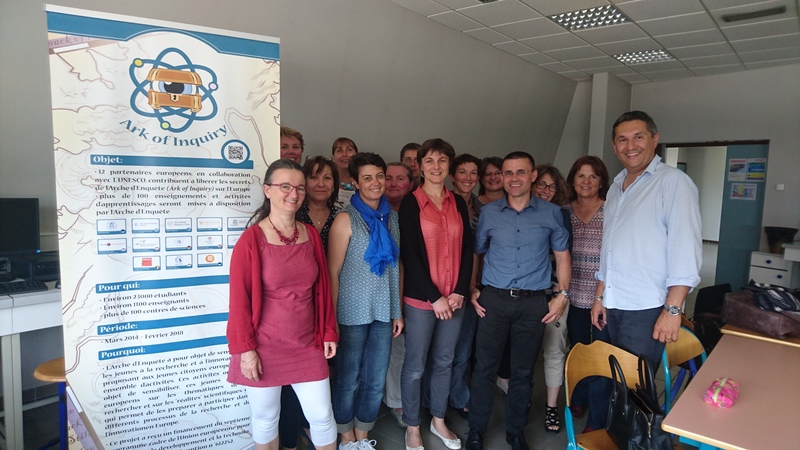 The numerous training courses carried out throughout the national territory have made it possible to disseminate the well-known and proven RRI concept in pedagogical concepts and methods in France. The presentation of the program especially allowed teachers to discover user interfaces and websites that bring together a large amount of activities. Even if all these activities cannot be exploited within the framework of the school curricula, they make it possible, in particular, to introduce practical lessons that can be exploited in exploratory scientific teaching. The DNA learning centre performs training on the various schools, in particular, on the need to work collaboratively in order to be able to exchange on the AOI platform of workshops and innovative modes so that other European countries could benefit not only from know-how but also of the positive return of the teaching by the concepts of RRI. The success of the trainings was tested on a complete sample of teachers already initiated in the RRI concepts like Grenoble but who wanted to discover other activities and improve their knowledge on existing programs. In Paris, the training activities on the program consisted of sensitizing senior teachers on specific activities, especially on DNA fingerprint and molecular phylogeny. And finally, our most remarkable actions have been carried out with young students in teaching and who are destined to be teachers in secondary and high school. It is with them that the Ark of inquiry program finds its legitimacy insofar as the mode of teaching by research, the concept of RRI is fundamental to give them the didactic bases of the teaching. Increasingly, initial training tends to focus on the capacities of these new teachers to diagnose student problems quickly, accurately and to find (based on a very large scale of solutions) the problematic situation. This is the reason why it is important for young teacher teachers to improve their practices systematically by research. From 29 June to 2 July the European Science on Stage festival celebrated its 10th jubilee in Debrecen. Ms. Szilvia Tóth, vice-president of HRTA was one of participants more than 230. Besides the workshop where her project “Natural Clear – How can you sweeten the learning of natural sciences?” was presented, she promoted the Ark of Inquiry project as well. Mainly 50 participants, especially science teachers, educators and some policy makers got to know the Ark of Inquiry project website and platform besides the aims and methods of the project, while getting information about the Ark of Inquiry Awards. Talking with participants they agreed that it would have been successful to increase the students’ interest in the natural sciences with the help of IBL and RRI. Participants read with great interesting “Checklist for the Empowerment of Girls in Science” and on their opinion the flyer must be very useful for them in everyday work in the classrooms. 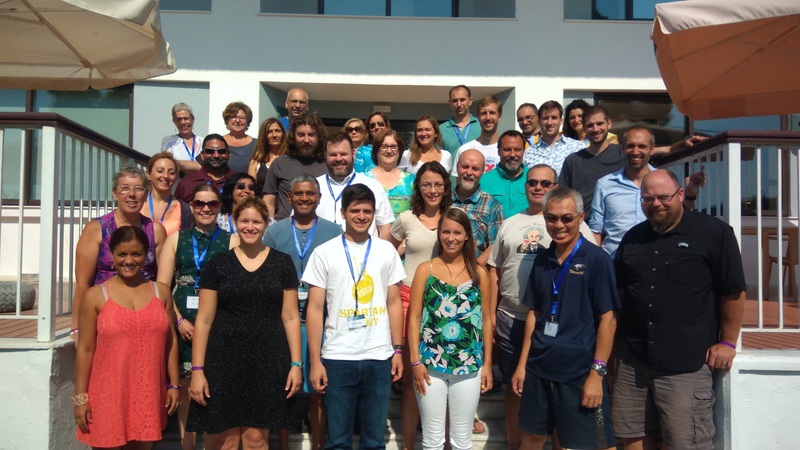 The “Ark of Inquiry: Creating future responsible citizens through inquiry learning” Summer School brought together 38 teachers from across Europe and the USA for 5 days in Marathon, Greece. The summer school introduced teachers to the concept of Responsible Research and Innovation via a series of practical workshops and theoretical presentations. Pedagogical scenarios, and Ark of Inquiry activities were presented to the participants who got the chance to become more familiar with the use of inquiry-based science teaching techniques and RRI aspects such as discussing ethical issues in the classrooms, addressing gender equality and connecting the school with the local communities and projects with grand societal challenges. Save the dates for the webinar on Inquiry Based Science Education and Responsible Research and Innovation scheduled on 6 September and 21 September 2017 as part of the Ark of Inquiry project. The UNESCO Regional Bureau for Science and Culture in Europe invites interested participants from South-East Europe to register. The project has entered its fourth and final year. 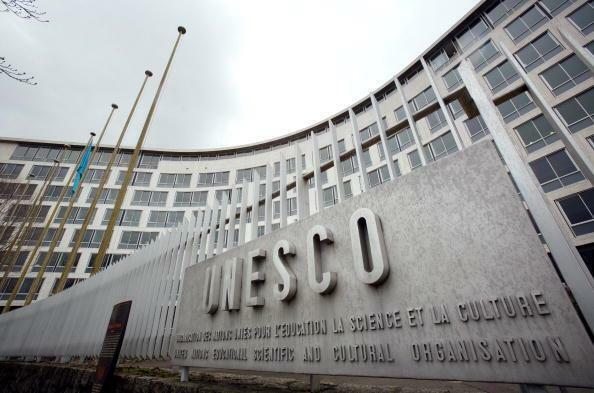 For the first time since its inception, UNESCO has the opportunity to expand the scope of the project, outside the 13-member consortium from 12 different European countries, to education professionals in the field of science from: Albania, Bosnia and Herzegovina, Bulgaria, Croatia, Malta, Montenegro, Republic of Moldova, Romania, Serbia, Slovenia and The former Yugoslav Republic of Macedonia. Besides Responsible Research and Innovation (RRI) and Inquiry Based Science Education (IBSE), the webinar will cover the project’s inquiry learning model, access to the portal (arkportal.eu) with over 700 vetted inquiry activities, and resources and training that allow participants to customise these inquiry activities to address diverse learning needs. The webinar is mostly suited to primary and secondary school science educators; yet it is also an opportunity for other interested education professionals from the region. Webinar will be offered live twice – Day 1. Wednesday 6 September 2017 at 15:00 CET and Day 2. Thursday 21 September 2017 at 15:00 CET. Interested participants are invited to register here by 31 July 2017 latest. More information about the webinar on the UNESCO home page. 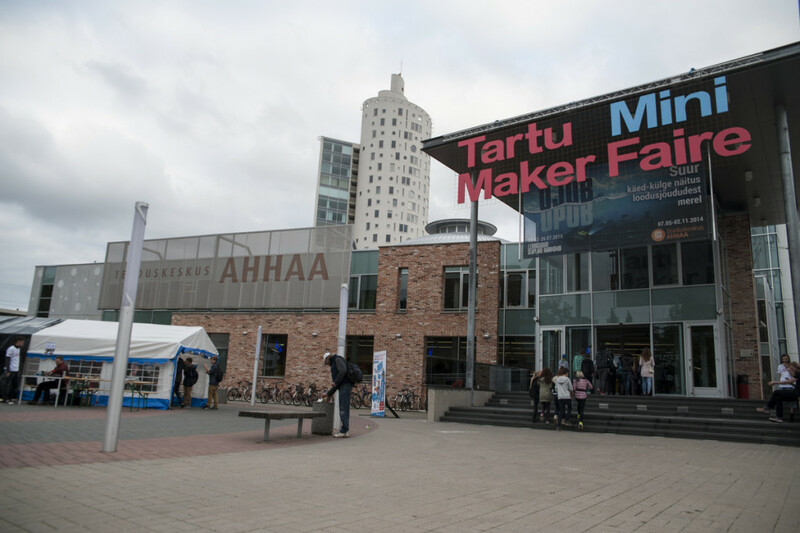 20 May 2017 was the third time for AHHAA Science Centre to host the Tartu Mini Maker Faire, a show for creative makers, tinkerers and crafters; the fair culminated in the first-ever Robo-Combat of the Tartu event. A total of 40 teams of makers participated in the fair this year, ranging from school kids to experienced patent holders to six teams that consisted exclusively of the builders of the Robo-Combat fighter robots. The event’s smash hit Robo-Combat required that the participating teams build their own robots: so, the process started months before the event with interested teams (five all-male teams and one all-female team) gathering for robot building marathons. 4. The team experimented with different wheel mechanisms and ended up choosing the chassis of an old outworn robot once used by AHHAA; the chassis also included the necessary motors and wires, which made the job easier. As the chassis was heavy and the total weight of the robot had to remain within 50 kg, the team decided to use plywood plates for the robot’s body; after some experimentation and rethinking, they chose waterproof plates, which were more durable than uncoated plates. To add a bit of humour, the team spiced up their robust-looking robot by naming it Malibu Barbie and painting its body bright pink. 5. 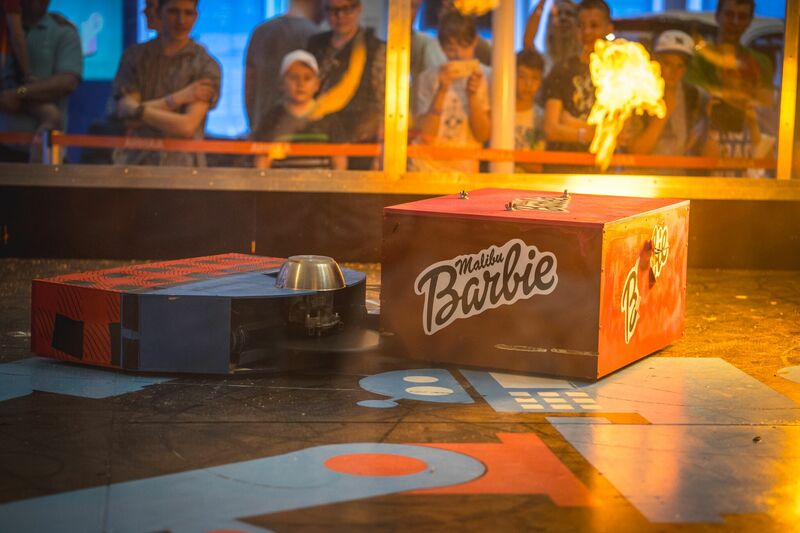 As it turned out during the Robo-Combat, the Malibu Barbie with the waterproof plywood body successfully weathered the opponents’ lashes as well as fire and steam attacks launched from the combat arena. Despite being disarmed as early as in the first round, the sturdy-looking Barbie managed to exhaust her opponents with her mass and maintained her fighting spirit till the very last match. Hence, the girls’ team concluded that their hypothesis had been confirmed – a durable and unyielding robot had been built with simple and accessible solutions. Based on conclusions drawn from the designing, testing and learning process, the team plans to improve their Malibu Barbie’s build and appearance by recording the data for future robot building enthusiasts and take Barbie back to the battle in the autumn of 2017 for the next stage of Robo-Combat. 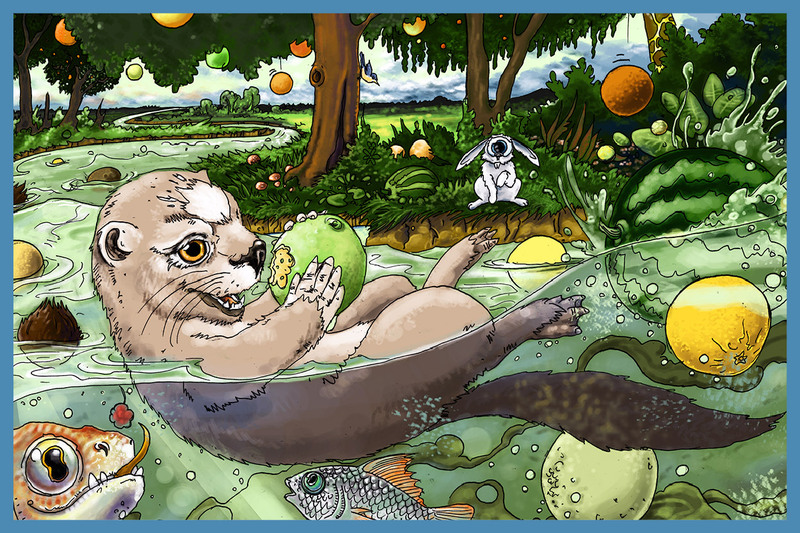 19-22 May 2017 - Ark of Inquiry activity focus: Chemistry is fun! 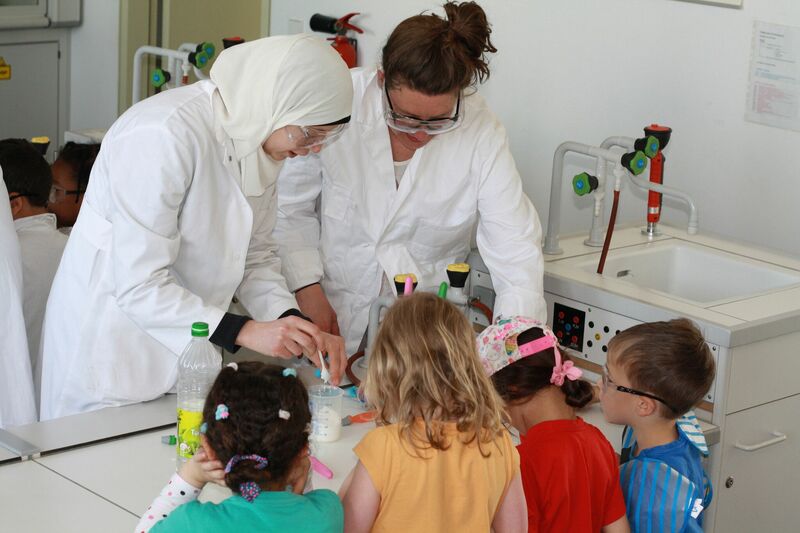 Humboldt university in Berlin invited 15 children from pre-school stage to visit a chemistry laboratory in chemistry institute to see a real chemistry laboratory and try to carry out a real, safe, easy experiment themselves. In this investigation, students had the ability to know what is chemistry, learn to ask questions, to think and to investigate the phenomena. We encouraged the kids to develop the experiments and investigate the results. They worked on four different experiments (paper Chromatography, Color changing cabbage experiment, Dissolving Experiment and Inflating Balloon with Baking Soda & Vinegar) in four groups. Each student got a chance to try each experiment himself, discover, invent, and investigate using the skills necessary to engage in the scientific process and they knew that chemistry is magic and fun. By the end of the day, we made a fantastic eruption show with hydrogen peroxide, yeast, soap, and food coloring “Elephant toothpaste” as a magic trick! 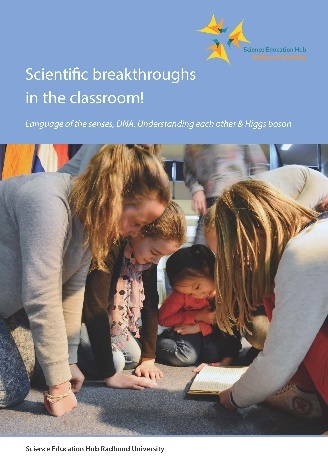 Science Education Hub Radboud University has published a book called „Scientific breakthroughs in the classroom!“, which provides current and future teachers with ideas on how to get started with scientific topics in the classroom according to the pedagogy of inquiry-based learning. The book provides a basis for designing a project, but is also intended as a source of inspiration and example for teachers who wish to bring science into the classroom. In this way, the book helps instill a curious and inquisitive attitude in children and (soon to be) teachers. All book chapters can be downloaded from the website www.wkru.nl/english. On the website you can also find a range of other classroom materials/tools to help teachers give proper guidance to children in their independent inquiry-based learning projects. 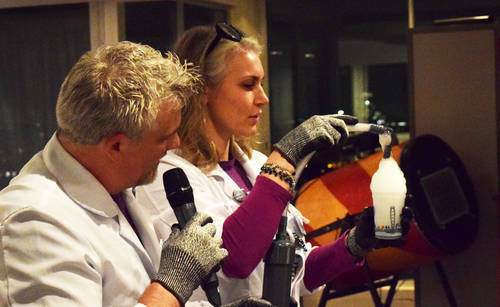 On 22 March more then 20 educational staff members of Dutch Science Centres and museums met in the Watermuseum in Arnhem. In a workshop they discussed the use of evaluation tools in Ark of Inquiry for their own activities. The participants brought own activities and discussed with the phases of inquiry and the framework for evaluation in mind. The discussion was very lively, many participants discovered new possibilities to improve and deepen their activities on inquiry learning. Second part of the workshop was a discussion on scientific literacy and RRI. The whole group ‘experienced’ a new part of the exhibition in the Watermuseum and discussed afterwards how to work with children on scientific literacy. The “Ark of Inquiry: Creating future responsible citizens through inquiry learning” Summer School is specifically designed for teaching professionals in STEM disciplines (Science, Technology, Engineering, and Mathematics). It will introduce to teachers the concept of Responsible Research and Innovation, the use of online resources as well as inquiry-based science teaching techniques in order to develop, improve and enhance their teaching skills and practices and to better connect their schools with the society. to enable teachers to successfully find, develop and apply the innovative, ICT based tools and teaching techniques that will help them create attractive science lessons and thus foster the interest of their students in science topics. 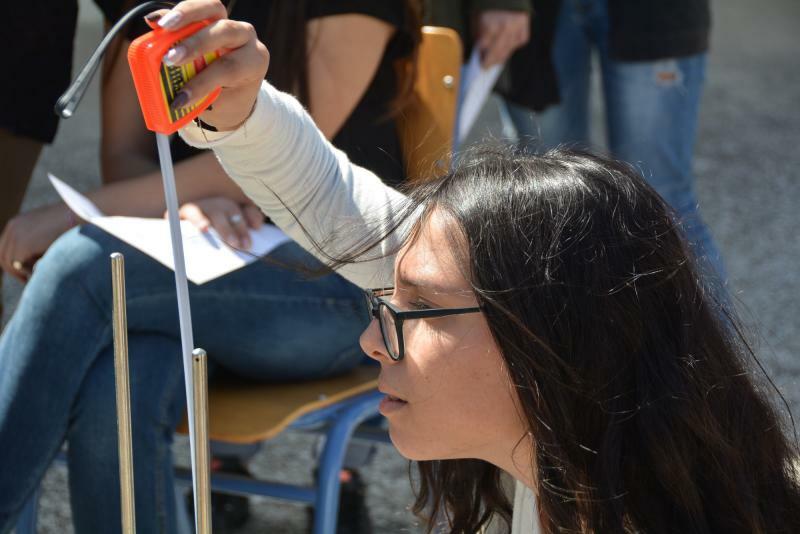 Following last year's great success with more than 1100 schools from around the world involved in the activity, Ellinogermaniki Agogi is happy to announce the Eratosthenes Experiment March 2017, which will take place on 21 March, 2017 - a day after the spring equinox day! 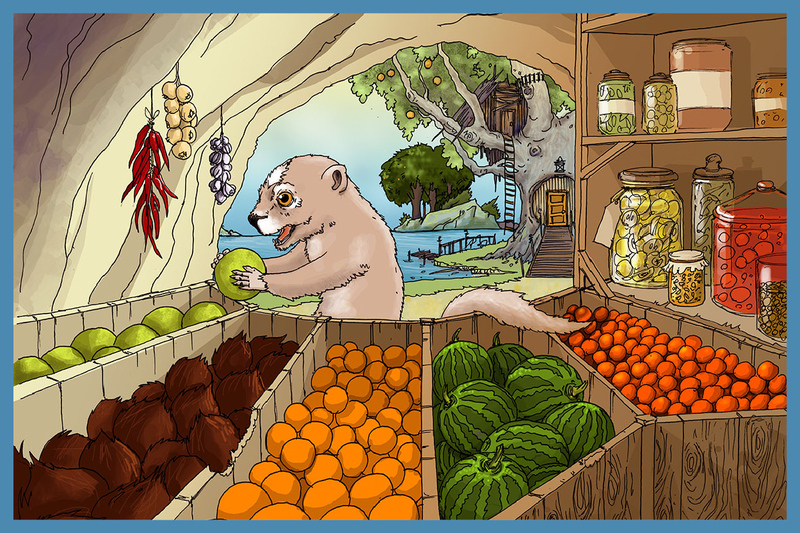 The activity, available in the Ark of Inquiry portal in both English and Italian, is designed for pupils of all ages, from primary to secondary schools. Ark of Inquiry schools and teachers are encouraged to not miss out on this exciting opportunity to participate in this fascinating international event. 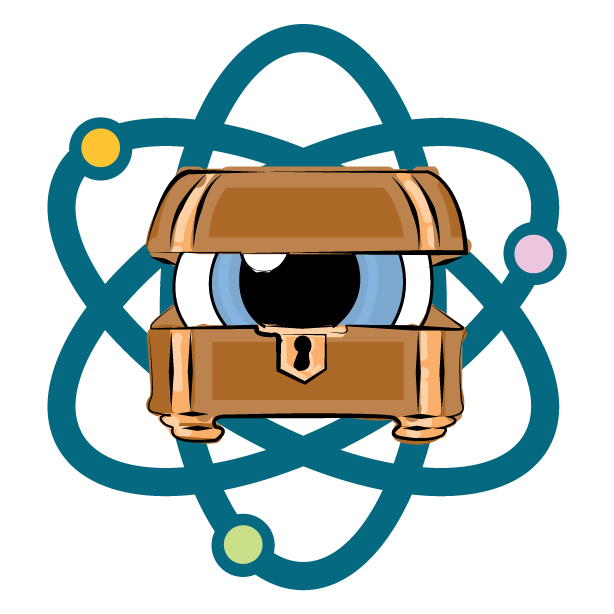 Teachers can take part through their school by first logging into the Ark of Inquiry portal (http://arkportal.ut.ee) and searching for the activity. They can then register at the website with their school’s longitude and latitude. Once registered, they will be put in touch with a school from the same longitude by the organizing team. Together with the partner school, you will record data, collaborate, calculate the circumference of the Earth and submit the data. Please note that the Eratosthenes Experiment official website has been upgraded. From now on, you can create your account and make use of it in order to register your school, submit & store your experiment data to compare them with future data, and upload to the gallery of Eratosthenes website photos from the experiment taking part at your school (or another location). In the past months more than 100 teachers participated in the Ark of Inquiry teacher trainings organized by University Colleges Leuven Limburg (UCLL). The teachers learned about the principles of IBSE methodology, the ideas of Responsible Research and Innovation and which possibilities Ark of Inquiry offers to them to work with those principles in their classrooms. The trainings were organized in various locations in Flanders: UCLL campus Diepenbeek, University of Antwerp, Cosmodrome Genk. This was possible thanks to the long-term collaboration between UCLL and the mentioned institutions. UCLL also organizes the Quantum SpinOff trajectory 2016-2017 within the frame of the Ark of Inquiry portal: students and their teachers come in contact with the real world of quantum physics and nanotechnology and their high-tech applications. The trajectory provides inquiry activities for the pupils, but it is at the same time a teacher training for the guiding teachers. During the trajectory the participating pupils and their teachers come in contact with real researchers and entrepreneurs in a specific field of quantum mechanics, nanotechnology and high-tech entrepreneurship. This way the Ark of Inquiry ideas reach, not only the teachers and their pupils, but also scientists and even some entrepreneurs. UCLL teacher students were involved as well in the organisation of some of these activities, thus becoming ‘Ark of Inquiry ambassadors’. In the coming months more activities in the classroom as well as a last phase of the teacher trainings will take place: more teachers and pupils will have the opportunity to come in contact with the project and others will come back to tell us about their experience with the Ark of Inquiry methodology in their classrooms. 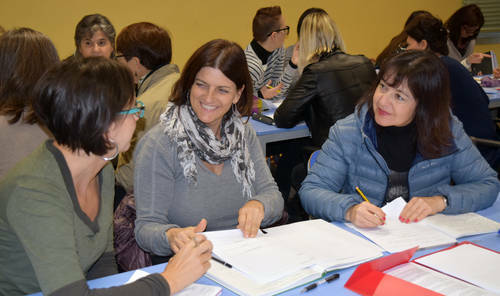 Teachers from the provinces of Naples, Vicenza and Perugia have begun their journey as trainees under the EU-funded Ark of Inquiry project, implemented in Italy by the UNESCO Regional Bureau for Science and Culture in Europe. In recent weeks, over a hundred teachers were introduced to the basic and intermediate tenets of inquiry-based science education according with Ark of Inquiry training model, propelling them to apply the lessons learned in their classrooms. UNESCO is currently seeking an intern to assist the Science Unit within the UNESCO Regional Bureau for Science and Culture in Europe, Venice (Italy), in the implementation of its activities relating to inquiry-based science education in the European and Mediterranean region. Duration: 3 to 6 months approx. More information about this unique opportunity can be found here. Ellinogermaniki Agogi (EA) organized a national conference with the aim to introduce and discuss the notion of the “Open School” (4-6 November, 2016). An ‘Open School’ is a school that effectively introduces and implements educational innovations and is an engaging learning and teaching environment that brings together not only the pupils and teachers, but also families, community groups, local businesses, experts, universities, and others into an innovation ecosystem. More than 150 educators from all over Greece participated in the three-day conference that offered a series of lectures, workshops and keynote speeches. In this context EA held a workshop on the Ark of Inquiry project on Saturday for 25 educators. Teachers had the chance to learn about RRI, to explore the Ark of Inquiry Portal and the available resources for teachers. 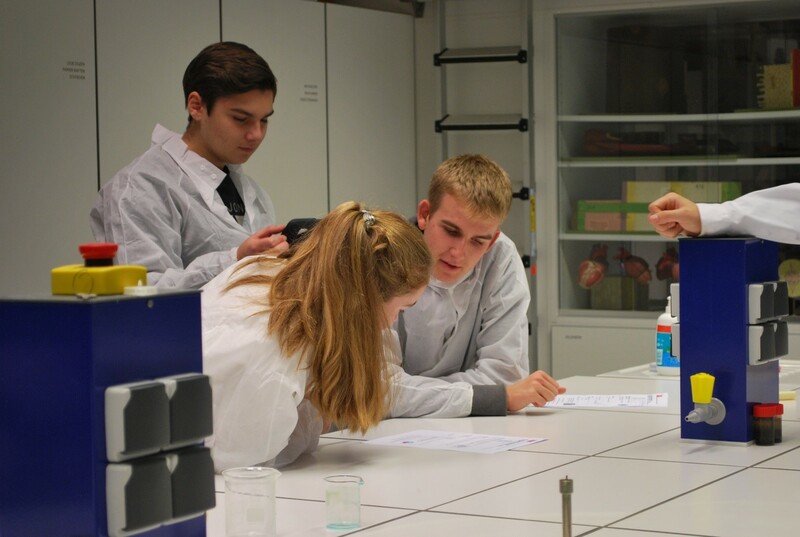 A lot has happened in France during these last few months... Pupils have participated in exciting workshops conducting hands-on activities in the field of forensic DNA testing. 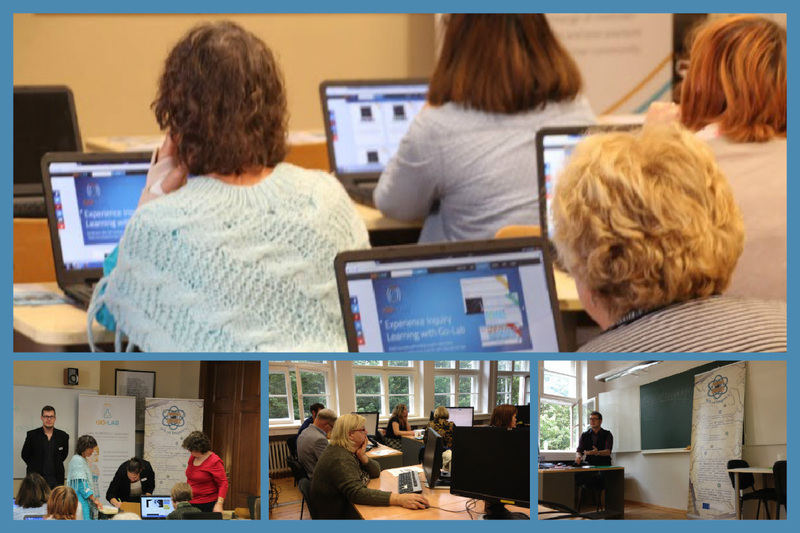 Teachers have participated in training seminars and a conference where they have been introduced to the Ark of Inquiry project and the web-based platform, along with the activities developed by EADN. You can read more about past events in our upcoming issue of the project Newsletter! See below for some highlights from the events. Exciting news from our dear project partner HAN! 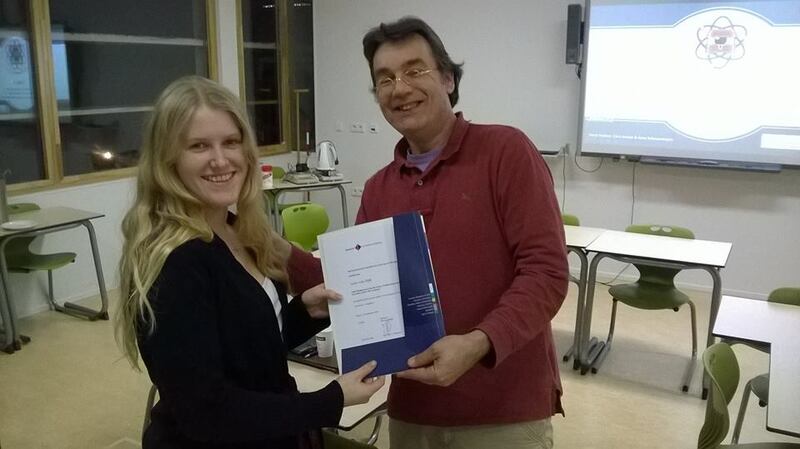 The first 8 certificates were awarded to Dutch teachers this week for completing the Ark of Inquiry teacher training. These teachers are ready and eager to implement inquiry learning in their classrooms! Ark of Inquiry teacher training takes place in 12 different European countries. Have you signed up for the training course already? Ark of Inquiry teacher trainings are underway! 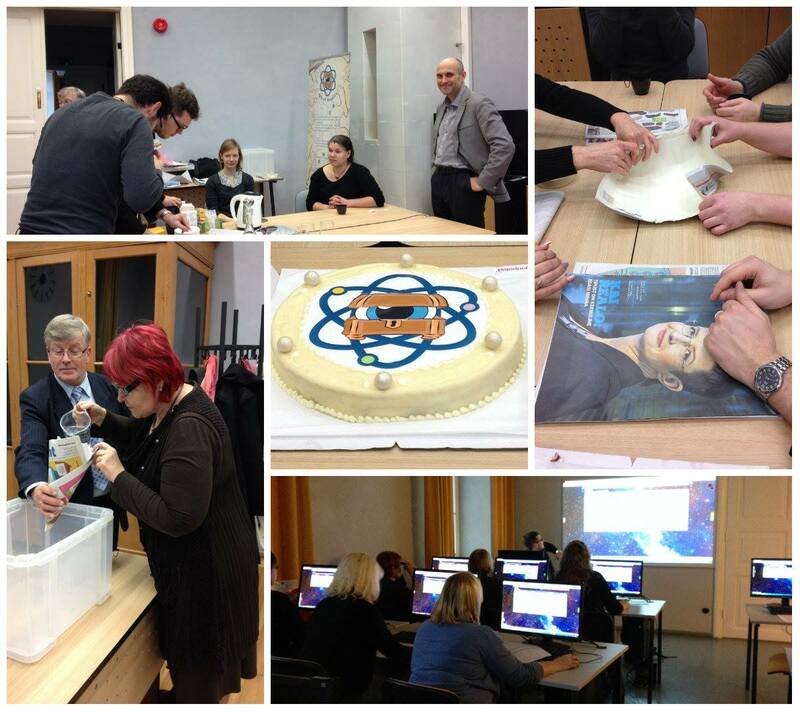 Last week the teacher trainings kicked off in Estonia where 15 STEM teachers and representatives from science centres and museums participated in an intense 2-day training session. Next training group starts in November! Thanks to all participants! 10 October 2016 - Ark of Inquiry newsletter is out now! 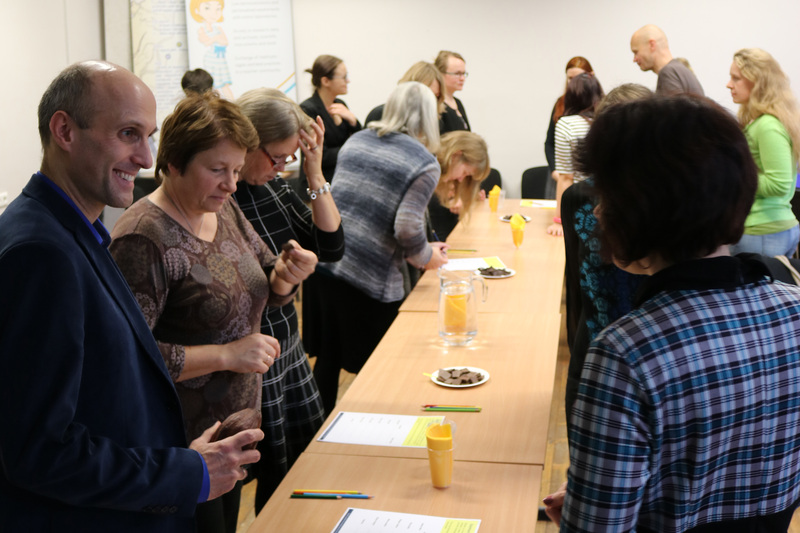 UT, UTU and AHHAA collaborated to bring about a unique experience for the Estonian pilot teachers and to spark collaboration between AHHAA, Heureka and UTU through a mutual learning day that was held at Heureka Science Centre on 30 May 2016. 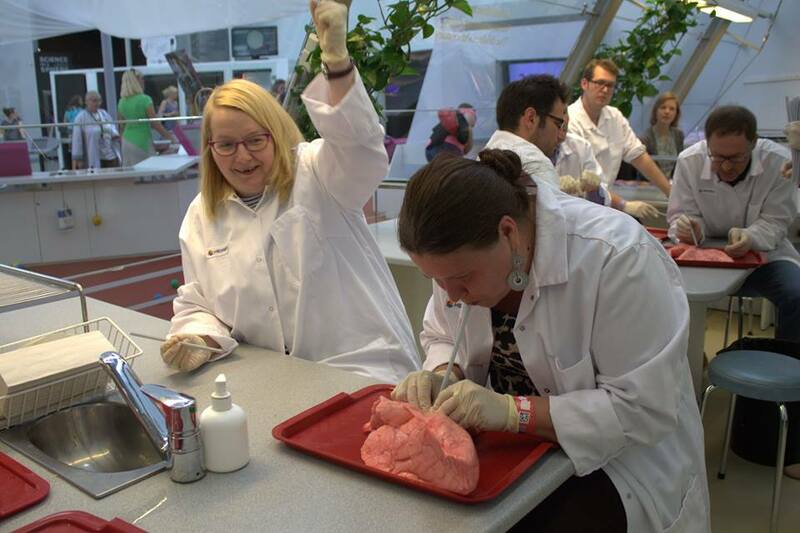 Liina Vaher, Head of Educational Programs at Science Centre AHHAA, Estonia, shared some impressions from the event. 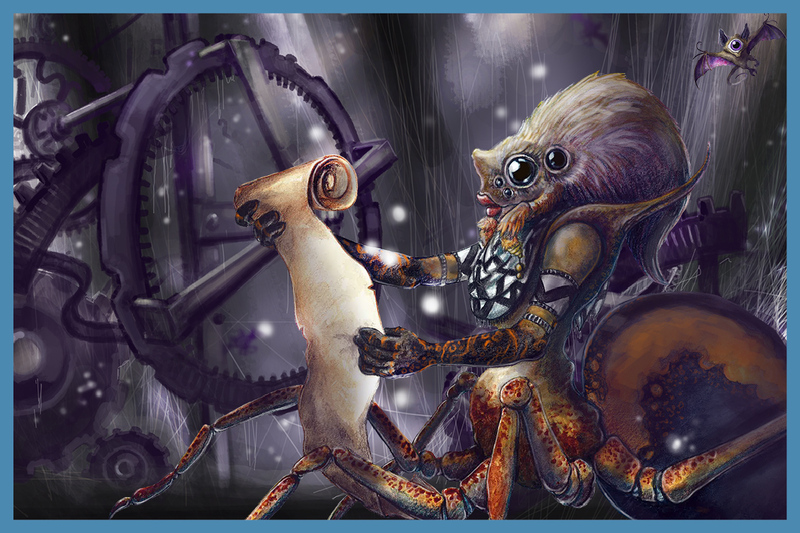 You can read about the event and other news from the upcoming Ark of Inquiry newsletter! This week we submerge ourselves into the wonderful world of shapes and sizes. Do you remember the difference between area and perimeter? Can you describe the relationship between area and perimeter? In this activity, the pupils will explore the relationship between area and perimeter. 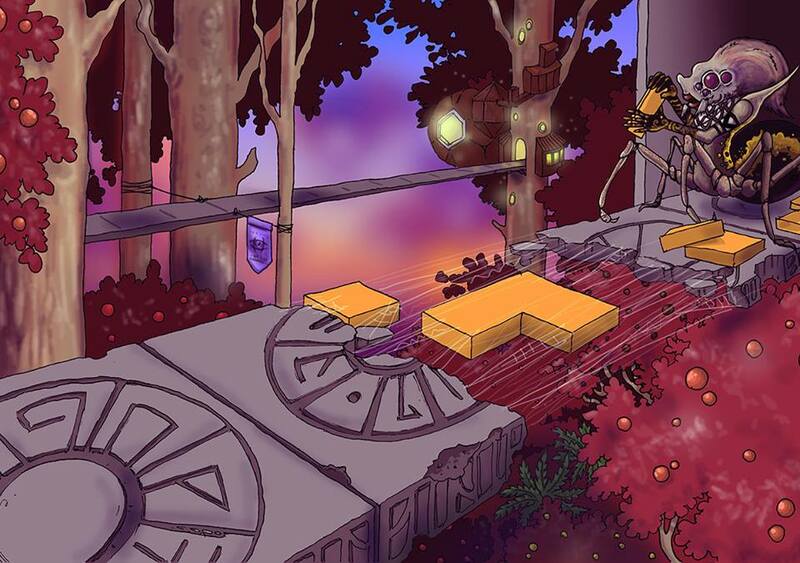 The pupils can challenge themselves in the game screen to build shapes or to find the area of funky figures. 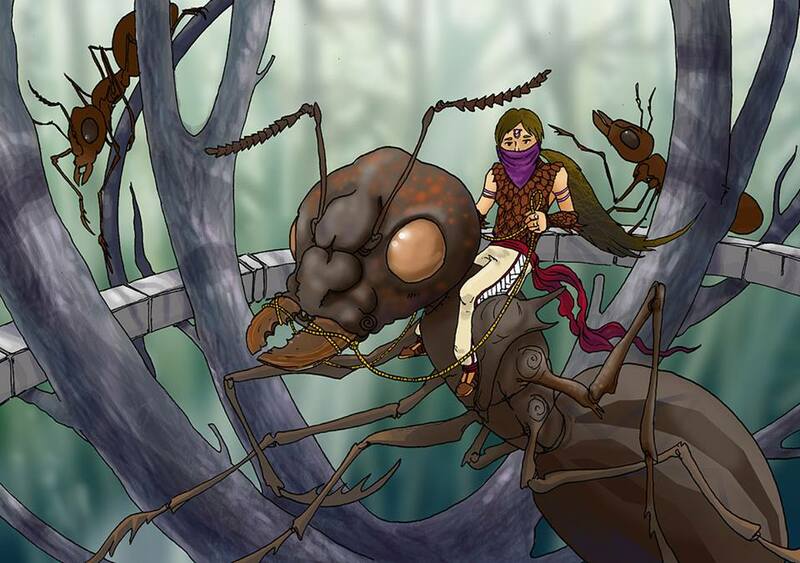 In this activity, the pupils will learn about ants. The pupils observe real ants in the schoolyard and try to find answers to questions they might have about their life. 4 August 2016 - Activity focus: What is light? In this activity, the pupils will learn about to the nature of light. The pupils discover why light can be interpreted as a wave through several theoretical questions and through virtual experiments by using videos on the web. 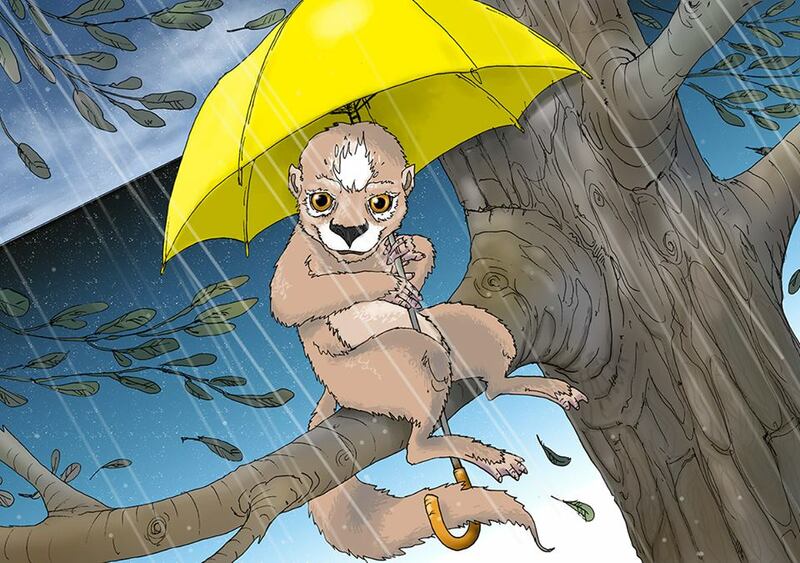 This activity aims to familiarize pupils with the scientific and mathematical explanations of flooding through theoretical and practical investigation. The concept of flow and the physical parameters that affect its’ rate are investigated using two applets and through a case study which examines flooding in a river valley. If you’re ready, get your rubber boots and umbrellas and let’s go! 18 April 2016 - 5th Ark of Inquiry Newsletter is published! The pilot phase of the Ark of Inquiry project came to a close and its large scale implementation has begun. Science teachers over Europe, especially in Italy, can participate in the second phase of this innovative project. Their contribution will allow to enhance it with their own expertise, discovering new ways to engage their students in scientific achievements and opportunities. The project is open to all science teachers, including those who are not yet familiar with inquiry-based science education but who would like to be. Europe is facing a troubling situation - young people have lost interest in science-related subjects and fewer pupils regard science as their future career field. Unless the situation improves, Europe's long term capacity to innovate and to conduct high quality research could be at risk. The objective of the Ark of Inquiry project is to create a “new science classroom” in Europe, responding to the emerging challenge to fulfil the need for increased responsible research and innovation in future generations. 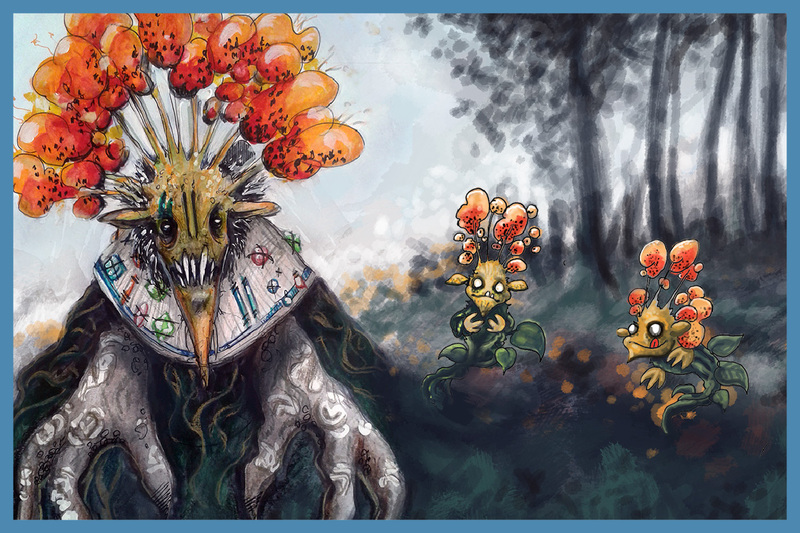 10 February 2016 - Ark of Inquiry website has been updated! 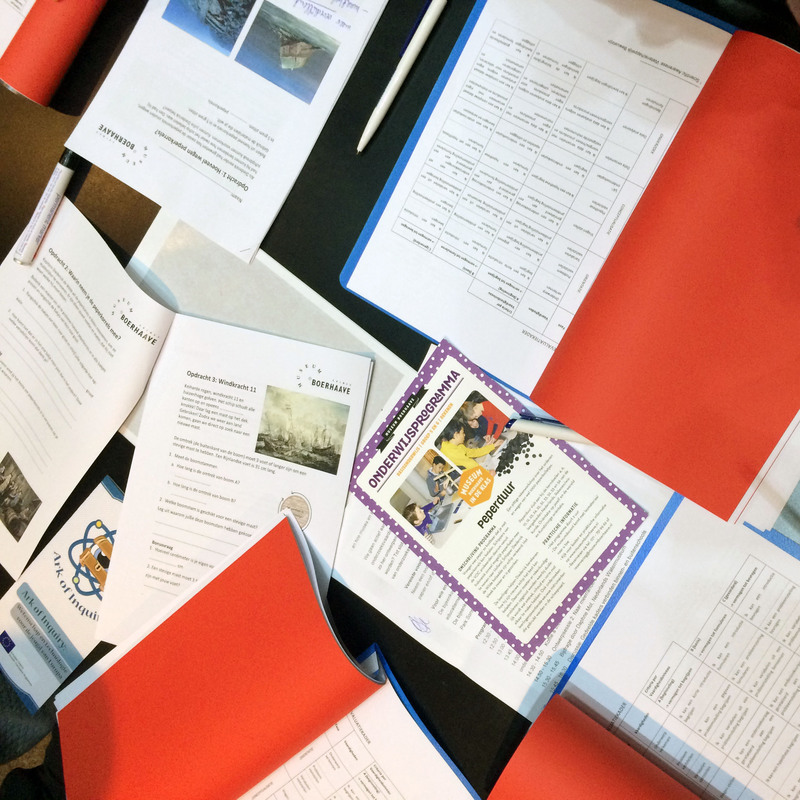 This week we bring you a photo collage from our last Ark of Inquiry meeting with the Estonian pilot teachers that was held on February 1st, 2016. We engaged in some fun hands-on inquiry activities under the direction of the people from AHHAA Science Centre and the teachers also participated in a short Graasp workshop. 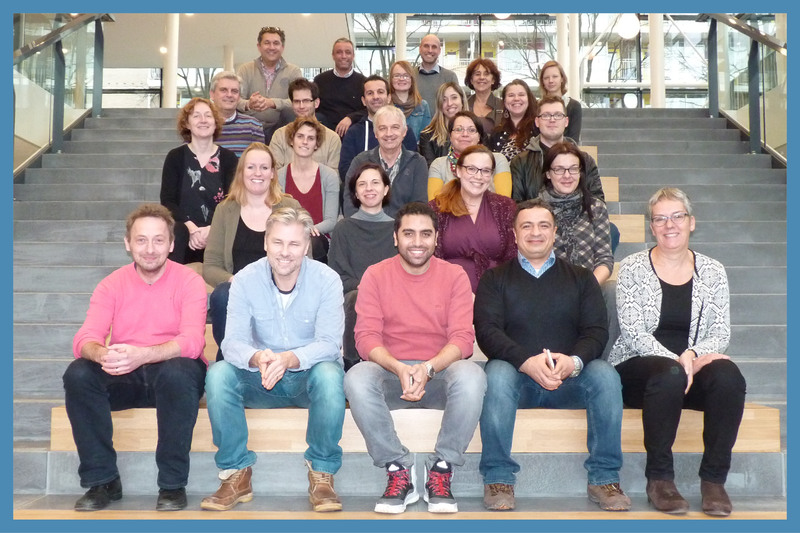 Here you can see the happy Ark of Inquiry team during our last consortium meeting in Amsterdam (January 25-26, 2016). We had a lot of fun and interesting discussions! Many thanks to HAN for organizing the event. This week we begin our "Related project focus" series where we disseminate information about interesting European projects that are related to Ark of Inquiry. 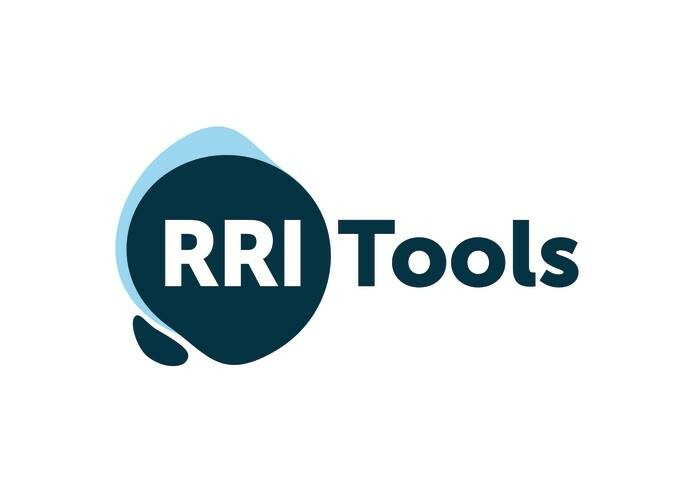 Today we urge you to check out a project called RRI Tools which will soon release its RRI Toolkit! 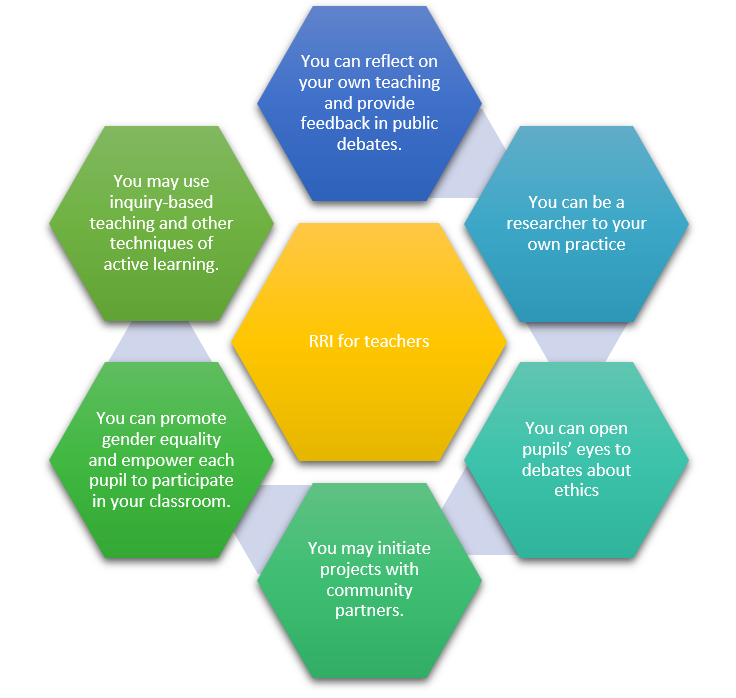 The toolkit will comprise many interesting RRI tools and resources which will help implementing RRI in your classroom and in your everyday practice. Ark of Inquiry has been introduced to teachers and teacher students in Flemish Belgium. 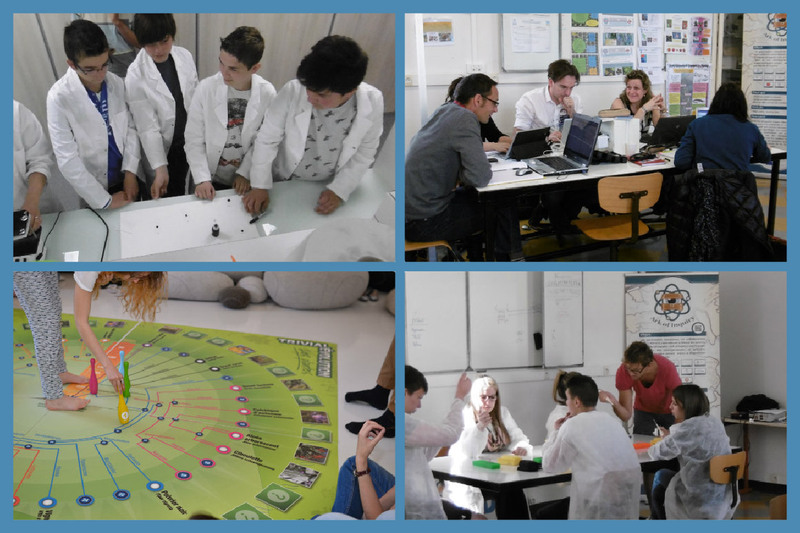 In October 2015, a group of teacher students in physics, chemistry, geography, mathematics at UCLL (University Colleges Leuven-Limburg) attended a session in which the project approach and goals were presented, together with the Ark of Inquiry platform. 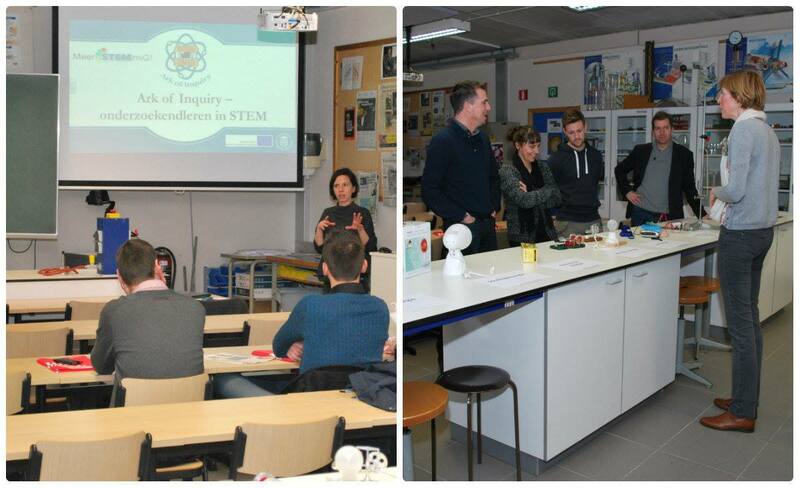 On 12 January 2016 the project and the platform have been introduced to a group of STEM (Science, Technology, Engineering, Mathematics) teachers, which are part of the community named “MeerSTEMmiG – Leergemeenschap”. In this occasion the teachers had the opportunity to learn about the project mission and the way in which they could implement the platform in their lessons. They were also engaged in a series of interesting inquiry activities. 6 January 2016 - Web-based materials are now online! In the context of Ark of Inquiry project, several web-based supportive materials have been developed for our main stakeholders – teachers, teacher educators, scientists and parents. These materials are expected to be used as a point of reference for all stakeholders in the following ways. First, teachers can use them for gaining insight into or refresh their understanding of inquiry learning and teaching. Second, teacher educators can integrate the web-based materials in the design and implementation of professional development courses for teachers. Third, scientists can use the web-based materials to expand their understanding of how their everyday inquiry activities can be transferred for learning purposes during designing and implementing instructional settings. Finally, the web-based materials for parents, written in a language that is easy to comprehend, are expected to serve as supportive materials in helping parents monitor and scaffold their children’s inquiry activities at home. See http://www.arkofinquiry.eu/web-based-materials for the materials! 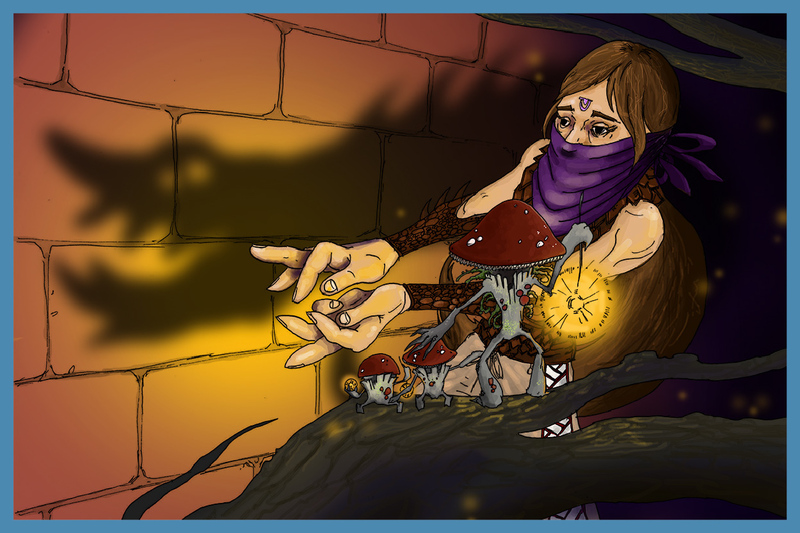 30 December 2015 - 4th Ark of Inquiry Newsletter is published! 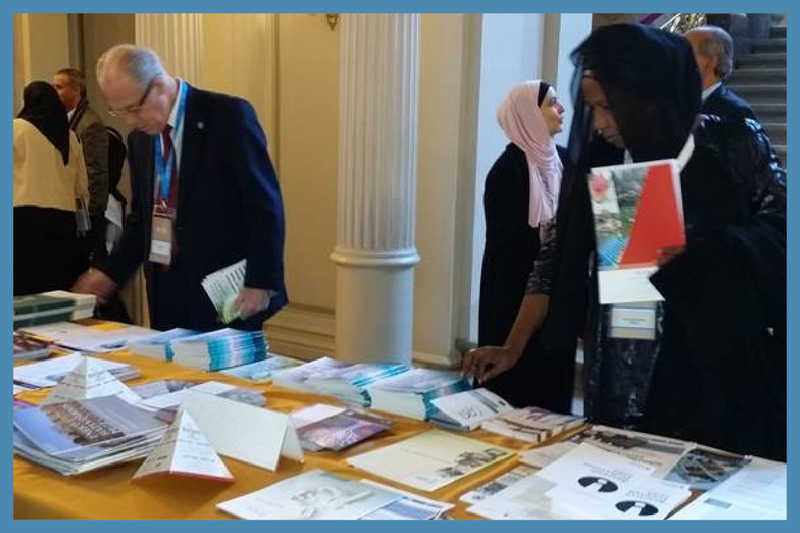 Representatives of the Ark of Inquiry project had the privilege to participate in the World Science Forum on 4–7 November 2015, in Budapest, Hungary. Sponsored by UNESCO, ICSU, AAAS, TWAS and EASAC, the 2015 edition of this biannual forum brought together over 900 scientists, decision-makers from the worlds of politics and industry, representatives of the civil society and the media to express their views on the new challenges facing science in the 21st century. 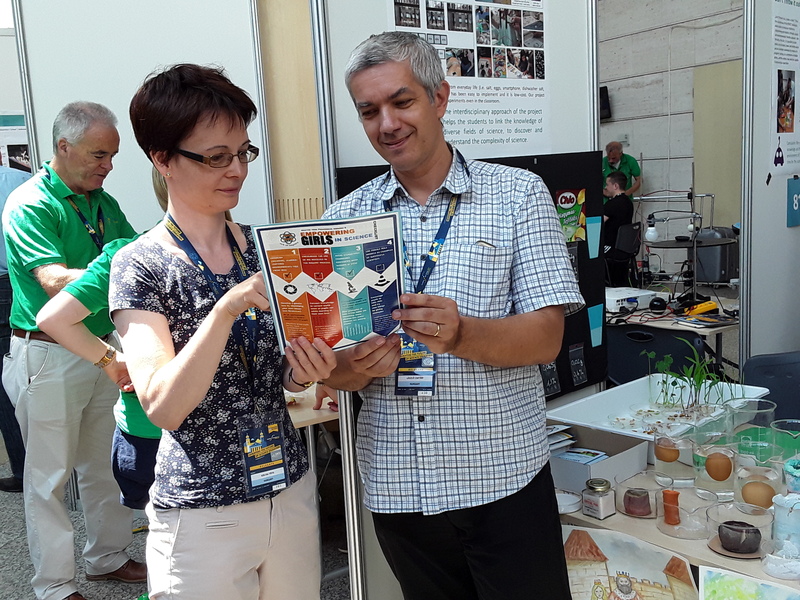 In Budapest, Ark of Inquiry partner representatives from UNESCO, the Austrian Ministry of Education and Women’s Affairs (BMBF), and the Hungarian Research Teachers’ Association (HRTA) were present to distribute information and raise awareness about what the project is trying to do in Europe. 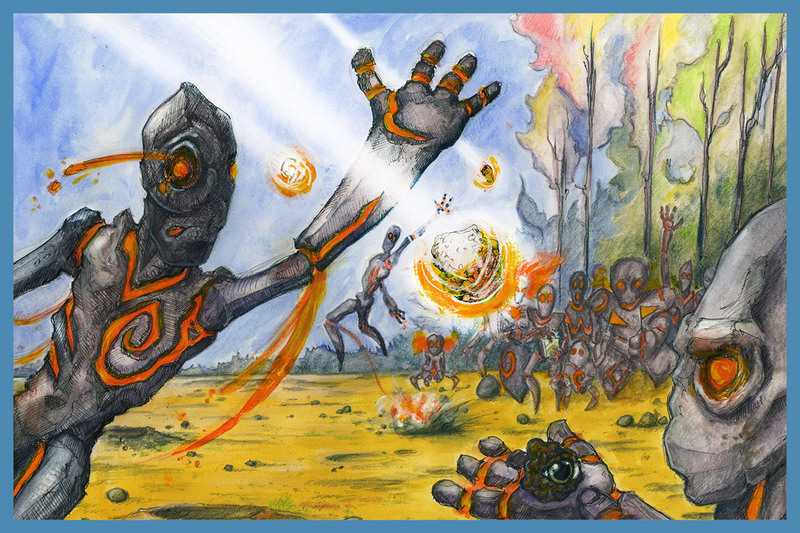 9 December 2015 - Ark of Inquiry activity focus: GearUp! Have you sometimes wondered what it actually means when someone says that something works like clockwork? Do you know what is inside a clock, or how and why wheels of a car rotate? Do you know the difference between follower and driver gears? This activity is an inquiry learning space which introduces the basic principles of gears and rotation. You get the general idea of the mechanical principles behind rotation and learn about the everyday uses of gears. In the investigation phase, you put your theoretical knowledge into the test by drawing your own gears and seeing how they work. Do you know what the Restriction Fragment Length Polymorphisms (RFLP) technique is? Are you interested in finding out more about it and its applications? 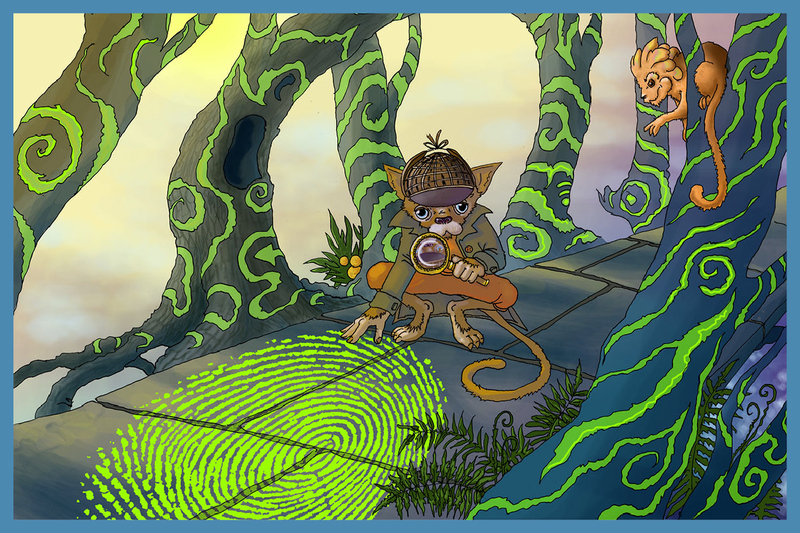 This set of activities guides you into the exciting world of crime, genetic diagnosis and DNA fingerprinting. You will learn how biological evidence is collected from a crime scene and you will be able to choose the right method to analyse the evidence. In case you have access to a laboratory, you will have the chance to conduct an exciting hands-on inquiry activity and get to experience science first hand. 25 November 2015 - Second Ark of Inquiry video is online now! We are proud to present the second Ark of Inquiry video. Feel free to like and share! 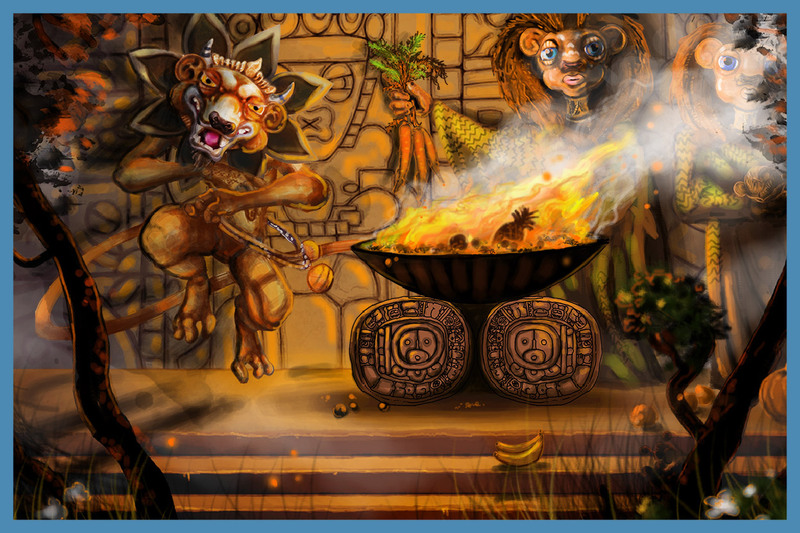 18 November 2015 - Ark of Inquiry activity focus: Can we learn from the past? Do you know how to preserve food properly? Is it possible to store food without the fridge? Do you know how to make jam? This set of activities is presented as an exciting webquest. It deals with the different preservation techniques of food. You will learn about the preservation techniques of the past and also how food is preserved today. You will also learn how to conduct interviews and make jam! Sounds exciting? 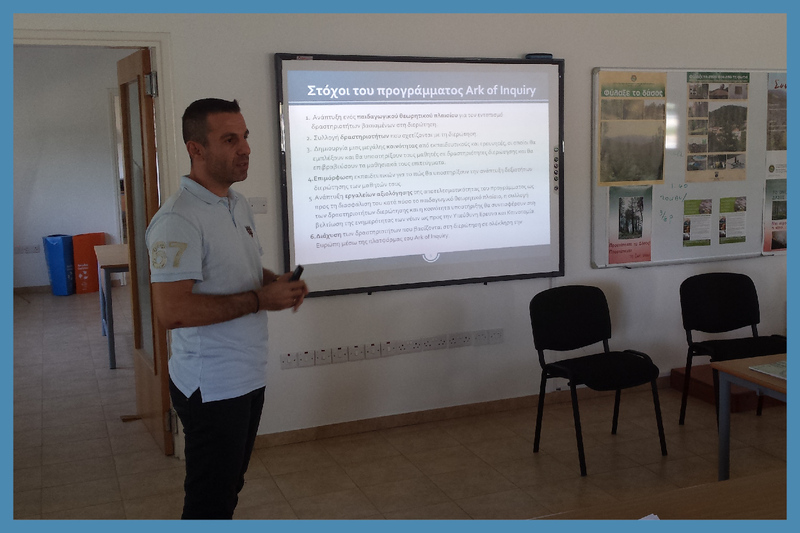 In October, the Ark of Inquiry project was introduced in Cyprus during 2 seminars for secondary school teachers in Nicosia and Limassol. The seminars were organized by the ReSciTEG Group. During the seminars, the teachers were given an overview of the project. In particular, the objectives of the project were presented and the contribution of the University of Cyprus was explained. The teachers had the opportunity to visit the project’s website and were provided with information about the web-based materials of the project. Furthermore, they became familiar with the platform and engaged in a wide range of inquiry activities. 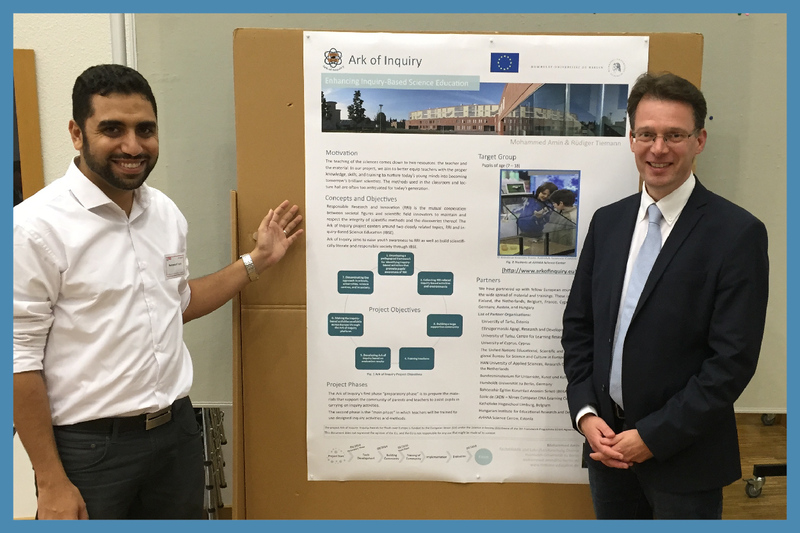 Ark of Inquiry was presented by Mohammed Amin, PhD student, and Prof. Dr. Rüdiger Tiemann at the Annual Conference of the Association of Chemistry and Physics Education (GDCP). The largest conference for research in chemistry and physics education in Germany was this year organized by Prof. Dr. Rüdiger Tiemann in Berlin (September 14–17, 2015). Nearly 400 participants presented more than 100 talks and 60 posters. The conference topic „Authenticity and learning – science and science education“ picked up the discussion about the inherent structure of scientific contents and their influence on teaching and learning. The very constructive atmosphere was supported by a perfect location: one of the world famous science parks and the graduated school SALSA, where the group of Prof. Tiemann teach concepts of scientific inquiry to PhD students in science, framed the conference in form and content. In October, our partners in the Netherlands held a workshop to a group of primary and secondary school teachers, and teacher-trainers. During the workshop, the first set of inquiry activities and the evaluation instruments were introduced to the teachers and teacher-trainers. After receiving some basic instructions, they browsed through the platform individually or in dyads and thought about how to implement the Ark of Inquiry in their class-rooms and with their pupils. Do you know what a shadow is? Do you know how shadows are created? When was the last time you played a game with shadows? This set of activities deals with the phenomenon of shadow (umbra and penumbra). You will learn about shadows, create presentations about your findings, construct your own shadow theatre and observe what happens, keep a measurement diary about the shadows of an object at different hours of the day, listen and even play a game with shadows. In September, many interesting events took place in Estonia, too. 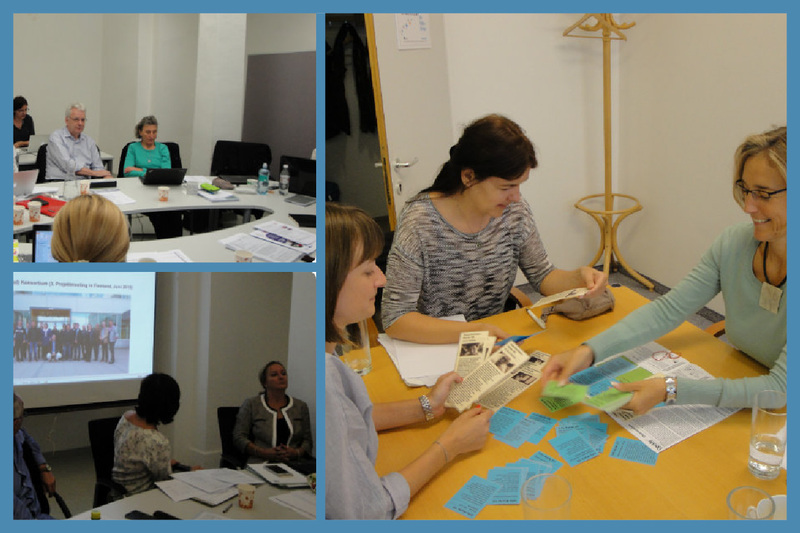 The Ark of Inquiry project along with Go-Lab Project was presented at two workshops during the Scientix Conference held in Tallinn (September 11–12, 2015). Another meeting took place September 30th in Tartu where a group of Estonian teachers learned more about the Ark of Inquiry platform and piloting process. 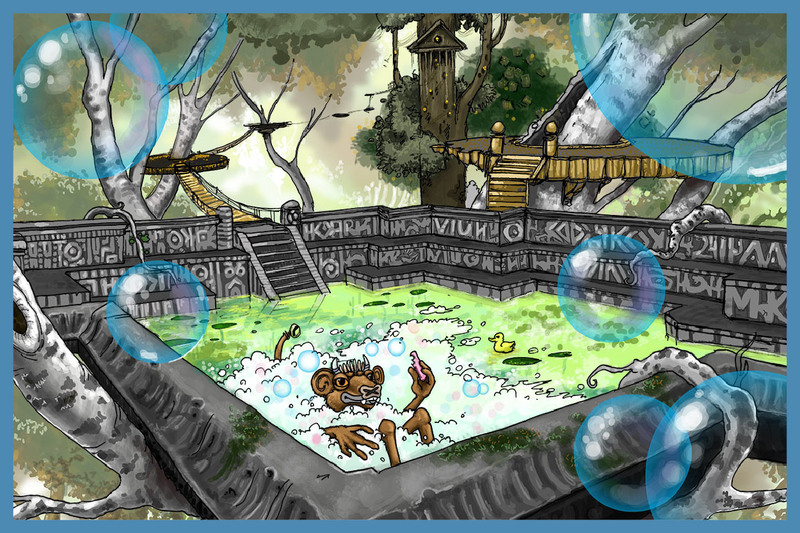 9 September 2015 - Ark of Inquiry activity focus: Which soap is best? 19 August 2015 - Ark of Inquiry activity focus: Is it Good to be Beautiful? 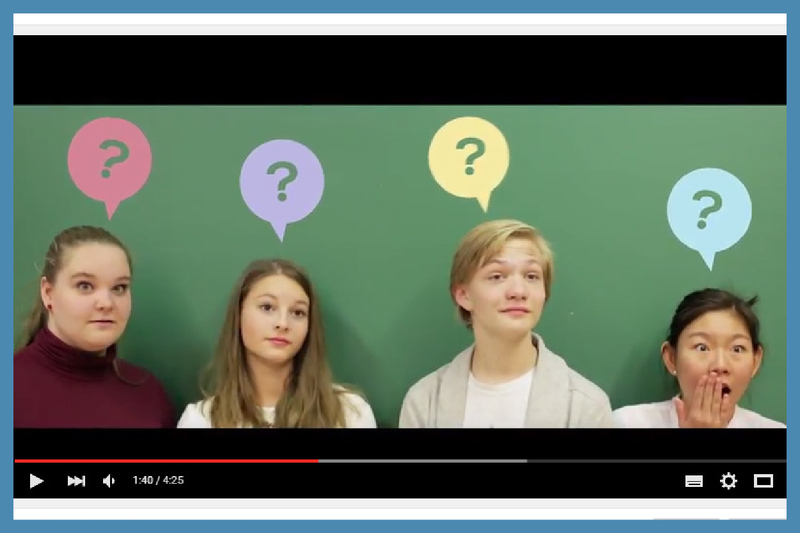 15 July 2015 - Ark of Inquiry introductory video is now online! 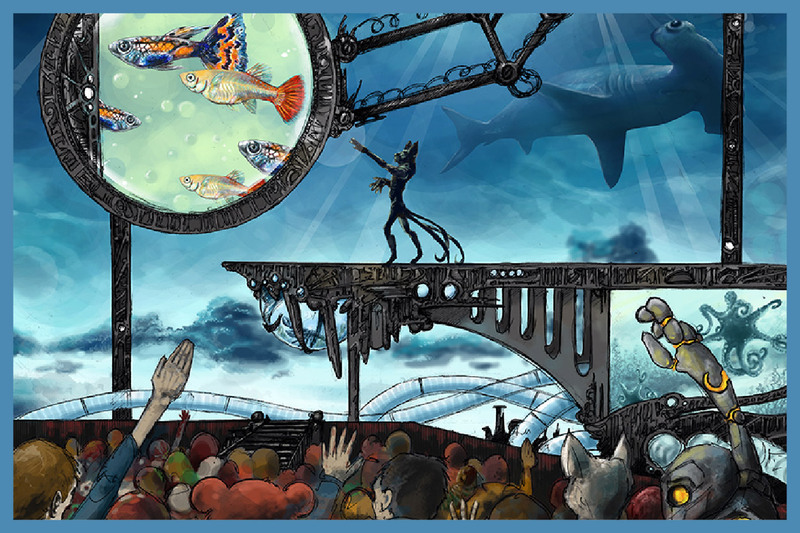 The Ark of Inquiry consortium is proud to present the introductory video to the project. You can watch the video here. A poster presentation of the Ark of Inquiry project was prepared for the Educational Research Days. The Netherlands Educational Research Association (VOR) annually organises the Educational Research Days (ORD) in collaboration with the Flemish Forum for Educational Research (VFO). During this conference, the results of educational research are presented and exchanged. Over the course of 30 years, the ORD has become an indispensable forum for Dutch and Flemish education researchers. There are approximately 600 participants annually. After a brief presentation the audience had the opportunity to walk by and ask questions - an opportuny many used! 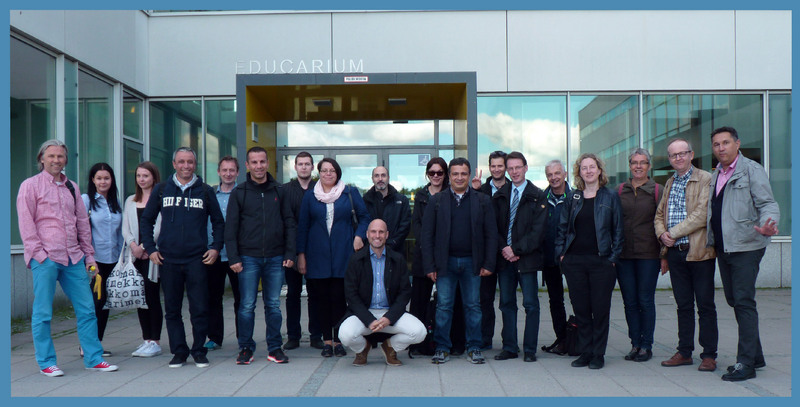 3rd Ark of Inquiry consortium meeting was held on June 15-16, 2015 in Turku, Finland. On the first day the consortium members focused on establishing an overview of the progress made since the last meeting. Outcomes were prioritized and future directions were chosen. Highlight of the day was the first Advisory Team meeting. The second day brought discussions about upcoming piloting activities, teacher training materials, web-based support materials and the key messages for different roles represented within the Ark of Inquiry community. The paper walkthrough aimed to introduce potential future users in primary schools. A short presentation was given that showed the general ideas that are behind the Ark of Inquiry and provided examples of inquiry activities. Next, the workshop focused on the cycle of inquiry and the framework of inquiry proficiency. We showed the teachers the three levels of inquiry and the evaluation framework. In the second part of the workshop the teachers were asked to bare their own pupils in mind and walk through the evaluation instruments. A discussion was started on the practical usability and relevance of the evaluation instruments (collecting evidence in a portfolio, collecting peer feedback, and having formative assessment dialogues). The teachers positively responded to the possibility to differentiate between pupils and letting them work at three different levels. They found the framework for evaluation - specifying inquiry skills at the three levels - of importance in helping them to develop their pupils' inquiry proficiency. Furthermore, they appreciated the attention that is being paid in the Ark of Inquiry and its evaluation instruments to RRI aspects of inquiry. They could easily see the benefits of having classroom discusssions on ethical issues related to doing inquiry. The workshop closed done with a future perspective on the implementation of the Ark of Inquiry. Although the teachers were critical about the practical issues related to having individual formative assessments dialogues and the time this takes, it seems the workshop welcomed future enthusiastic members of a growing Ark community! Maria Erakleous, a graduate student from University of Cyprus who is enrolled as a researcher in the Ark of Inquiry project, made a presentation at the 9th Panhellenic Conference in the Didactics of Natural Sciences and New Technologies in Education to inform the attendees about the nature and scope of the project. The title of the presentation was "Exploring the influence of a professional development course on teachers' beliefs about teaching science through inquiry". Ark of Inquiry was one out of more than 20 EU projects presented in the opening day of the IOSTE Eurasia Regional Symposium. The International Organization for Science and Technology Education (IOSTE) was established to advance the cause of education in science and technology as a vital part of the general education of the peoples of all countries and to provide scholarly exchange and discussion in the field of science and technology education. The mission of IOSTE is to encourage the peaceful and ethical use of science and technology in the service of humankind. Workshop focused on the Restriction Fragment Length Polymorphisms (RFLP) technique, which has been used for 20 years in order to analyse molecular variation of DNA. Applications are various: RFLP can be used for genetic mapping in disease, for polymorphic markers analysis or phylogenesis. The RFLP technique explores all DNA sequences (codant or not) in comparison with genetic linkage map which identifies mutations with phenotypic effects. 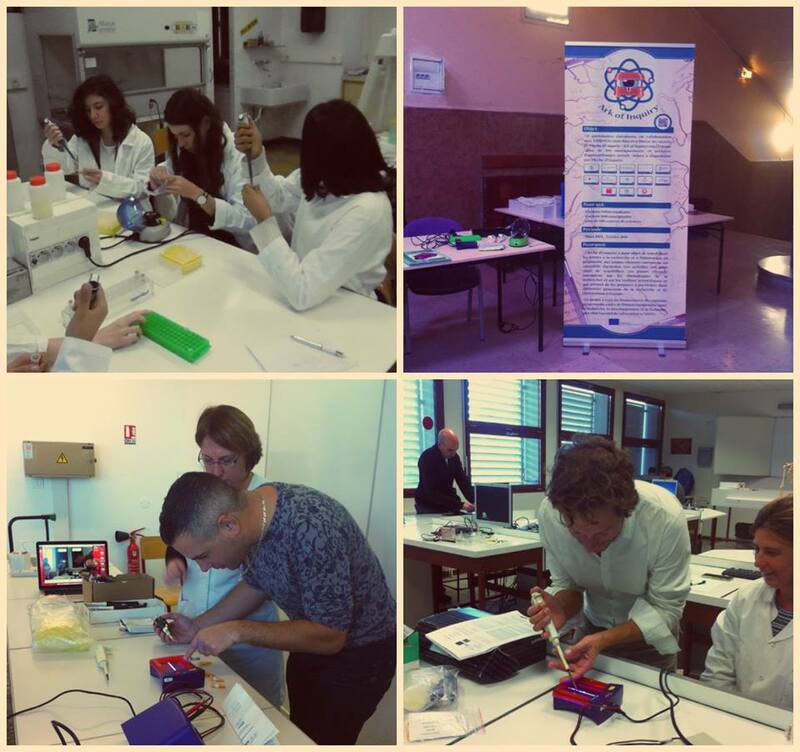 During the workshop Ark of Inquiry project was introduced to people interested in DNA research. They were asked to ponder how to get pupils involved in learning about DNA research. Representatives of 6 Estonian schools participated in a workshop on inquiry learning and participatory design of the Ark of Inquiry platform. Next meeting will be held at the end of April. 2nd Ark of Inquiry consortium meeting was held on January 26-28, 2015 in Nicosia, Cyprus. There were 21 participants from 10 different countries. During the first day, the partners worked mostly on the internal review of the deliverables and discussed the progress done so far. During the second day, parallel sessions were organized to cover all the essential work package responsibilities and to brainstorm in smaller groups. Project management and communication issues were also discussed on the second day. On the third day, in a joint session the work done in the separate groups was summarized and presented to all participants for discussion and commentary. A preliminary workplan of workpackages 5 and 6 was presented and new activities starting from March 2015 were discussed. 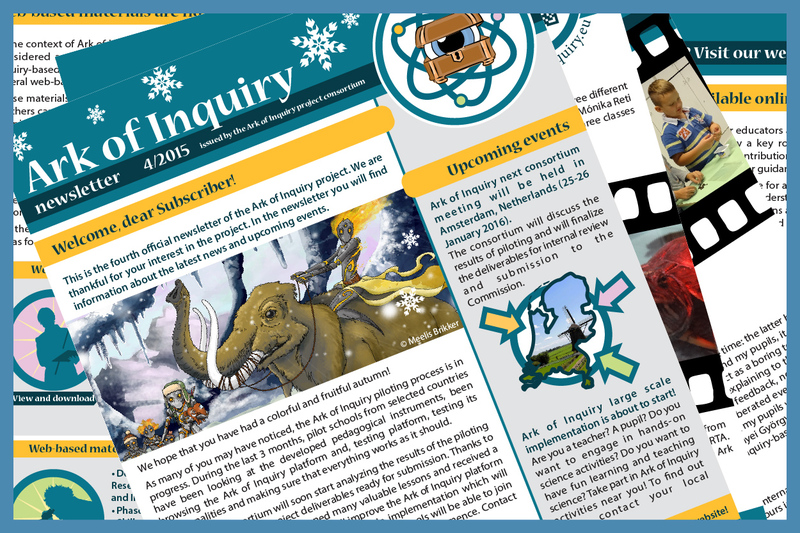 19 January 2014 - The first Ark of Inquiry newsletter is published! 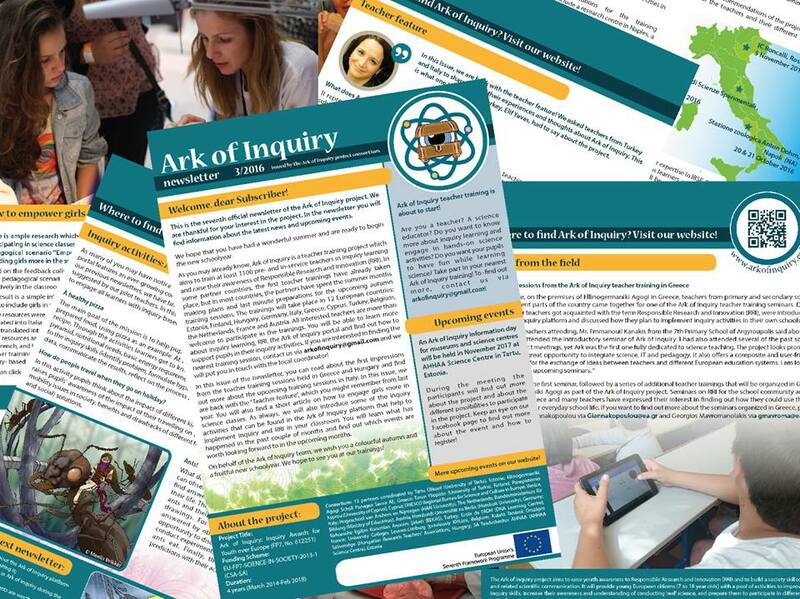 You can find information about upcoming events and news about the Ark of Inquiry project in the first edition of our newsletter here. Ark of Inquiry newsletters will be issued four times a year, once in a three-month period, and will help you keep track of developments in the project. 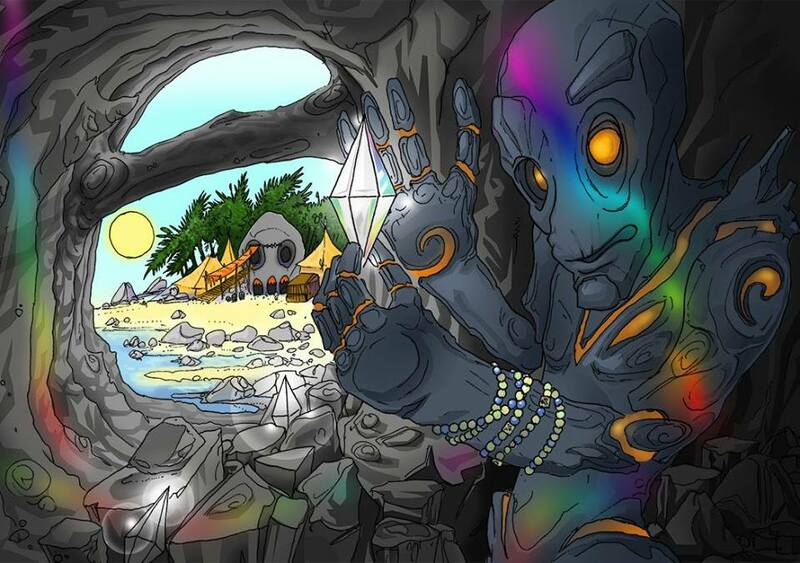 11 December 2014 - Building of the Ark of Inquiry community begins! Please take 1-2 minutes to fill in this form and let us know what kind of information you are interested in. You can find the survey here. 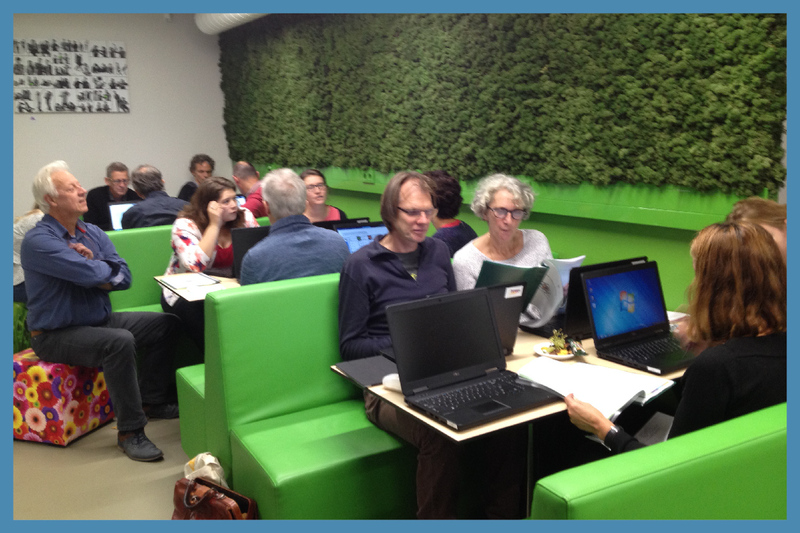 Many school teachers in the Netherlands have been working on the implementation of science and technology in their curricula. Increasingly, pupils in Dutch primary and secondary schools have gained experience in doing inquiry activities and in developing their knowledge in the STEM domains. Schools are in need of evaluation practices that help them assess the students’ progress. In this presentation, the Ark of Inquiry project was presented with special focus on the evaluation and award system that will be built into the Ark. The workshop was held with a small audience of teacher educators and scientists who work frequently with teachers on the improvement of science education. Theoretical background, aims and design principles of the award and evaluation system were presented and discussed. Amongst other issues that were discussed, the participants of the workshop provided us with some positive feedback on the design principles of the evaluation system, which aims to have pupils and teachers collaborate in formative evaluation sessions through a portfolio. The first results of a pedagogical framework for the Ark of Inquiry project were presented at the International Study Association on Teachers and Teaching (ISATT) conference (November 21, 2014) held in Tartu, Estonia. The conference focused on bridging the gap between theory and practice in teacher education. Senior Research Fellow of Technology Education Leo Siiman, from the University of Tartu, talked about how the Ark of Inquiry project provides teachers with a clear understanding of what inquiry and inquiry activities are, and how inquiry activities can be categorized so that a learner’s inquiry capabilities (e.g. basic, advanced, expert) match the level of challenge afforded by an activity. Matching a learner to an appropriate inquiry activity is important for facilitating the improvement of inquiry skills and awareness to Responsible Research and Innovation across a wide variety of diverse students. You can find the Abstract book of the conference (.pdf) here! See the resources page for conference poster and presentation! Established by UNESCO in 2001, the World Science Day for Peace and Development is celebrated worldwide on 10 November each year. The day offers an opportunity to mobilize various partners to highlight the important role of science in society and to engage the wider public in debates on emerging scientific issues and the relevance of science in their daily lives. The theme for the 2014 World Science day for Peace and Development is promoting Quality Science Education: ensuring a sustainable future for all. See here for the World Science Day poster (in English)! See here to read a message from Ms Irina Bokova, Director-General of UNESCO on the occasion of the World Science Day for Peace and Development. Scientix is a FP7 project that promotes and supports a Europe-wide collaboration among STEM (science, technology, engineering and maths) teachers, education researchers, policymakers and other STEM education professionals. 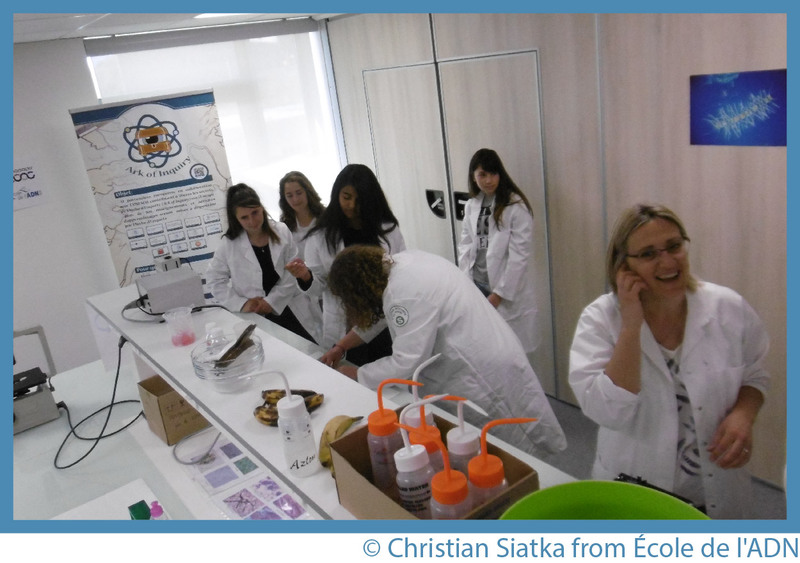 The main stakeholders of Scientix are teachers, researchers and project managers in STEM education, and policymakers. One of the activities of Scientix is to collect and disseminate information about European and national initiatives in science education. Ark of Inquiry project is now featured in Scientix´s library of projects. 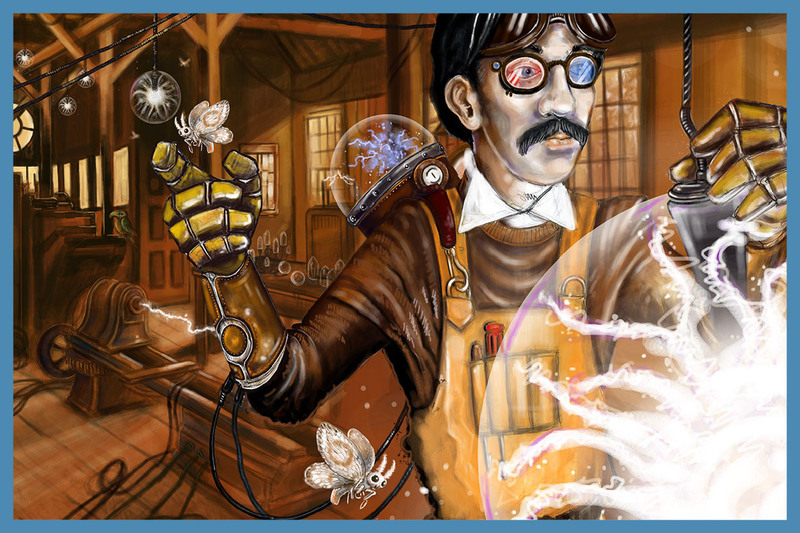 The library collects science education initiatives and projects from around EU, both international and national. Learning and teaching materials produced by the projects can also be linked to the Scientix resource repository. Ark of Inquiry project was introduced at iSER (International Society for Educational Research) World conference in Cappadocia, Turkey by prof. Bulent Cavas from Bahcesehir Egitim Kurumları Anonim Şirketi (BEKAS). iSER is a worldwide organization that aims to provide a forum for sharing insights, problems and issues, and research outcomes among educational researchers, policy makers, educators, and other stakeholders who wish to contribute to the existing knowledge base and improve practice in the field. Ark of Inquiry project is featured in the Book of Abstracts of the conference (page 51). 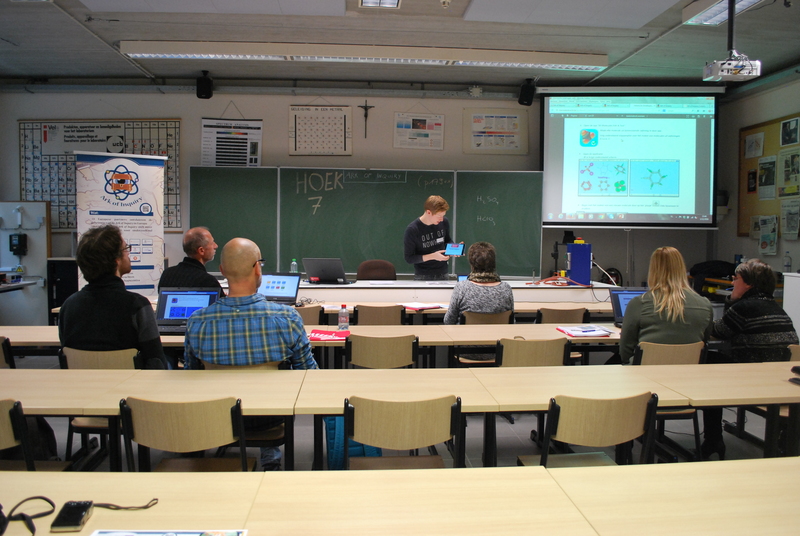 Ark of Inquiry project was introduced at the 2nd Scientix Conference that took place on 24 – 26 October 2014 in Brussels, Belgium. With 70 talks, 14 workshops, 7 round-tables, 25 exhibition stands and over 600 participants, the conference was one of the largest events in STEM (Science, Technology, Engineering and Maths) education in Europe. Ark of Inquiry Project flyers were distributed by prof. Bulent Cavas (BEKAS) and Mónika Reti (HRTA). See photos of the conference here! Ark of Inquiry project was introduced at a workshop titled "Welcome on board of the Ark of Inquiry" in the Centre of Expertise Quality of Learning, HAN University of Applied Sciences, Netherlands. The workshop was held before a group of primary school teachers and teacher educators who have specialized in science education and inquiry learning. The teachers and teacher educators were part of a national Dutch network of science and technology education. In two hours the participants got acquainted with the Framework of Inquiry Proficiency of Ark of Inquiry project, and project´s ideas about evaluating pupils’ progress in such a framework. In subsequent discussions they went through their own school practices and how this related to the framework. 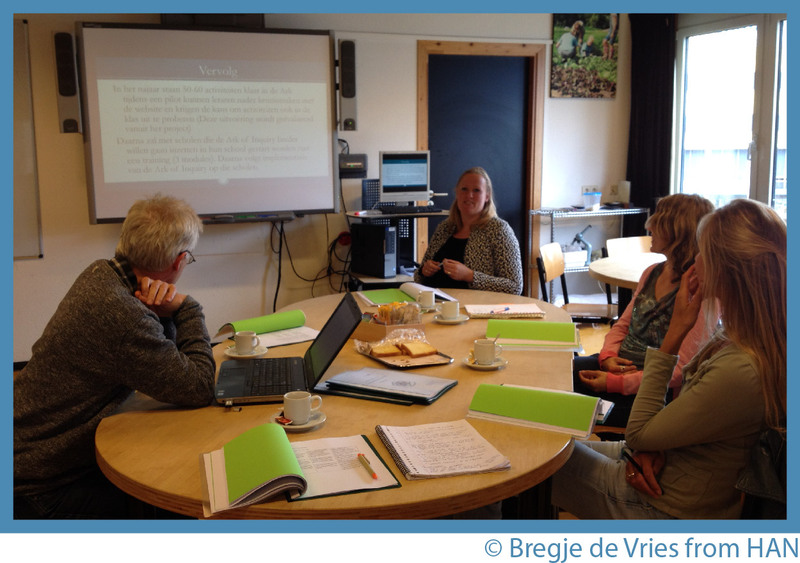 In the workshop Bregje de Vries (HAN) presented the principles of the Ark of Inquiry project and together with the participants found answers to the following questions: What are the teachers already doing in their own school practices to develop pupils’ inquiry proficiency? How could teachers assess pupils´ skills ? How could teachers present new just-in-time inquiry-based activities to different pupils? Ark of Inquiry project was introduced at the annual GDCP conference (http://www.idn.uni-bremen.de/gdcp2014/) in Bremen, Germany (September 15-18, 2014) by prof.Rüdiger Tiemann from the Humbolt-Universität zu Berlin (HUB). The GDCP (Gesellschaft für Didaktik der Chemie und Physik, Association of Chemistry and Physics Education) is the largest organization for research in chemistry and physics education in Germany. About 400-500 participants attend the annual conference each year. Keynotes, small presentations, workshops and posters draw a detailed picture of different research projects and trends in future. The next conference will be held at Humboldt-Universität zu Berlin, Germany (14.09-17.09.2015). Take a look at the conference poster (in German)! Ark of Inquiry project was introduced at XVI IOSTE Symposium in Kuching, Malaysia (September 21-27, 2014) by prof. Bulent Cavas from Bahcesehir Egitim Kurumları Anonim Şirketi (BEKAS). IOSTE stands for The International Organization for Science and Technology Education. It is an international organization which aims to encourage informed debate, reflection and research on science and technology (S&T) education. Ark of Inquiry project was introduced at a Science Fair organized in the context of 2nd International PROFILES Conference on Enhancing Scientific Literacy in Berlin, Germany (August 25 -27, 2014) by prof. Margus Pedaste from University of Tartu (UT). The first publication related to the Ark of Inquiry project was published in the conference proceedings of the 2nd International PROFILES Conference on Enhancing Scientific Literacy. The contribution by Professor Margus Pedaste and co-authors outlines the main aim of Ark of Inquiry to raise youth awareness to responsible research and innovation through inquiry-based science education. The initial work on a pedagogical framework to guide the Ark of Inquiry project is presented in this publication. You can read more [here], pages 291-296. The kick-off meeting for the Ark of Inquiry project was held on March 3-6, 2014 in Tartu, Estonia. There were 31 participants from 12 countries. On the first day the meeting began with a general introduction to the project, expected outcomes, demonstration of a preliminary prototype and an icebreaker activity to acquaint participants to each other. The second and third days were devoted to planning and discussing partner responsibilities and goals in the projects’ various work packages. Two parallel sessions were organized to cover all the essential first-year work package responsibilities. In a joint session the work done in the separate groups was summarized and presented to all participants for discussion and commentary. On the final day the Ark of Inquiry year one project plans were reviewed and project management and communication issues were discussed..